XL trim, Ingot Silver Metallic exterior and Medium Earth Gray interior. Back-Up Camera, Hitch, TRANSMISSION: ELECTRONIC 6-SPEED AUTO... EQUIPMENT GROUP 101A MID, CLASS IV TRAILER HITCH RECEIVER, INGOT SILVER METALLIC READ MORE! KEY FEATURES INCLUDE Back-Up Camera. Electronic Stability Control, Brake Assist, 4-Wheel ABS, 4-Wheel Disc Brakes, Tire Pressure Monitoring System. OPTION PACKAGES EQUIPMENT GROUP 101A MID SYNC, enhanced voice recognition communications and entertainment system, 911 assist, 4.2 LCD display in center stack, Applink and 1 smart charging USB port, 4.2 Productivity Screen in Instrument Cluster, compass, XL Power Equipment Group, Power Glass Sideview Mirrors w/Black Skull Caps, manual-folding, Power Door Locks, flip key and integrated key transmitter keyless-entry (includes Autolock), Illuminated Entry, Power Front Windows, Perimeter Alarm, Power Tailgate Lock, MyKey, Cruise Control, CLASS IV TRAILER HITCH RECEIVER towing capability up to TBD on 3.3L V6 PFDI engine (99B) and 2.7L EcoBoost engine (99P) or up to TBD on 3.5L EcoBoost engine (994), 3.5L EcoBoost High Output engine (99G) and 5.0L V8 engine (995), smart trailer tow connector and 4-pin/7-pin wiring harness, INGOT SILVER METALLIC, ENGINE: 3.3L V6 PDFI auto start-stop technology and flex-fuel capability (STD), TRANSMISSION: ELECTRONIC 6-SPEED AUTOMATIC selectable drive modes: normal/tow-haul/sport (STD). VISIT US TODAY At Shelor Motor Mile we have a price and payment to fit any budget. Our big selection means even bigger savings! Need extra spending money? Shelor wants your vehicle, and we're paying top dollar! Tax DMV Fees & $597 processing fee are not included in vehicle prices shown and must be paid by the purchaser. Vehicle information is based off standard equipment and may vary from vehicle to vehicle. Call or email for complete vehicle specific informatio Chevrolet Ford Chrysler Dodge Jeep & Ram prices include current factory rebates and incentives some of which may require financing through the manufacturer and/or the customer must own/trade a certain make of vehicle. Residency restrictions apply see dealer for details and restrictions. All pricing and details are believed to be accurate but we do not warrant or guarantee such accuracy. The prices shown above may vary from region to region as will incentives and are subject to change. XL trim, Magnetic Metallic exterior and Dark Earth Gray interior. Turbo Charged, 4x4, Back-Up Camera, Trailer Hitch, CLASS IV TRAILER HITCH RECEIVER, EQUIPMENT GROUP 101A MID, TRANSMISSION: ELECTRONIC 10-SPEED AUT... FOG LAMPS CLICK ME! KEY FEATURES INCLUDE 4x4, Back-Up Camera Electronic Stability Control, Brake Assist, 4-Wheel ABS, Tire Pressure Monitoring System, 4-Wheel Disc Brakes. OPTION PACKAGES EQUIPMENT GROUP 101A MID SYNC, enhanced voice recognition communications and entertainment system, 911 assist, 4.2 LCD display in center stack, Applink and 1 smart charging USB port, 4.2 Productivity Screen in Instrument Cluster, compass, XL Power Equipment Group, Power Glass Sideview Mirrors w/Black Skull Caps, manual-folding, Power Door Locks, flip key and integrated key transmitter keyless-entry (includes Autolock), Illuminated Entry, Power Front Windows, Perimeter Alarm, Power Tailgate Lock, MyKey, Cruise Control, ENGINE: 2.7L V6 ECOBOOST auto start-stop technology, GVWR: 6,500 lbs Payload Package, 3.55 Axle Ratio, XL CHROME APPEARANCE PACKAGE Fog Lamps (Fleet), Wheels: 17 Silver Painted Aluminum, Front & Rear Chrome Bumpers, body-color front fascia, FOG LAMPS, CLASS IV TRAILER HITCH RECEIVER towing capability up to TBD on 3.3L V6 PFDI engine (99B) and 2.7L EcoBoost engine (99P) or up to TBD on 3.5L EcoBoost engine (994), 3.5L EcoBoost High Output engine (99G) and 5.0L V8 engine (995), smart trailer tow connector and 4-pin/7-pin wiring harness, MAGNETIC METALLIC, TRANSMISSION: ELECTRONIC 10-SPEED AUTOMATIC selectable drive modes: normal/tow-haul/snow-wet/EcoSelect/sport. Tax DMV Fees & $597 processing fee are not included in vehicle prices shown and must be paid by the purchaser. Vehicle information is based off standard equipment and may vary from vehicle to vehicle. Call or email for complete vehicle specific informatio Chevrolet Ford Chrysler Dodge Jeep & Ram prices include current factory rebates and incentives some of which may require financing through the manufacturer and/or the customer must own/trade a certain make of vehicle. Residency restrictions apply see dealer for details and restrictions. All pricing and details are believed to be accurate but we do not warrant or guarantee such accuracy. The prices shown above may vary from region to region as will incentives and are subject to change. Hitch, OXFORD WHITE, Turbo Charged Engine, Back-Up Camera, 4x4, TRAILER TOW PACKAGE, REAR WINDOW DEFROSTER, EQUIPMENT GROUP 101A MID, SIRIUSXM RADIO, FOG LAMPS. Oxford White exterior and Medium Earth Gray interior, XL trim READ MORE! KEY FEATURES INCLUDE 4x4, Back-Up Camera Electronic Stability Control, Brake Assist, 4-Wheel ABS, Tire Pressure Monitoring System, 4-Wheel Disc Brakes. OPTION PACKAGES EQUIPMENT GROUP 101A MID SYNC, enhanced voice recognition communications and entertainment system, 911 assist, 4.2 LCD display in center stack, Applink and 1 smart charging USB port, 4.2 Productivity Screen in Instrument Cluster, compass, XL Power Equipment Group, Power Glass Sideview Mirrors w/Black Skull Caps, manual-folding, Power Door Locks, flip key and integrated key transmitter keyless-entry (includes Autolock), Illuminated Entry, Power Front Windows, Perimeter Alarm, Power Tailgate Lock, MyKey, Cruise Control, TRAILER TOW PACKAGE Towing capability up to TBD, tailgate LED, Class IV Trailer Hitch Receiver, towing capability up to TBD on 3.3L V6 PFDI engine (99B) and 2.7L EcoBoost engine (99P) or up to TBD on 3.5L EcoBoost engine (994), 3.5L EcoBoost High Output engine (99G) and 5.0L V8 engine (995), smart trailer tow connector and 4-pin/7-pin wiring harness, Upgraded Front Stabilizer Bar, ENGINE: 2.7L V6 ECOBOOST auto start-stop technology, GVWR: 6,210 lb Payload Package, XL SPORT APPEARANCE PACKAGE Fog Lamps, Box Side Decals, Wheels: 17 Silver Painted Aluminum, Body-Color Front & Rear Bumpers, body-color front fascia, REAR WINDOW DEFROSTER, SIRIUSXM RADIO a 6-month prepaid subscription, Service is not available in Alaska and Hawaii Approx. Original Base Sticker Price: $39,400*. Tax DMV Fees & $597 processing fee are not included in vehicle prices shown and must be paid by the purchaser. Vehicle information is based off standard equipment and may vary from vehicle to vehicle. Call or email for complete vehicle specific informatio Chevrolet Ford Chrysler Dodge Jeep & Ram prices include current factory rebates and incentives some of which may require financing through the manufacturer and/or the customer must own/trade a certain make of vehicle. Residency restrictions apply see dealer for details and restrictions. All pricing and details are believed to be accurate but we do not warrant or guarantee such accuracy. The prices shown above may vary from region to region as will incentives and are subject to change. 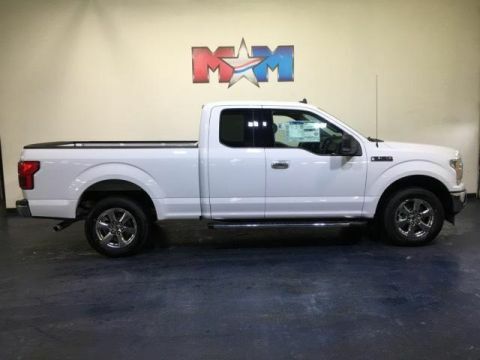 Trailer Hitch, MAGNETIC METALLIC, Turbo Charged, Back-Up Camera, 4x4, ENGINE: 2.7L V6 ECOBOOST, TRAILER TOW PACKAGE, REAR WINDOW DEFROSTER, SIRIUSXM RADIO. Magnetic Metallic exterior and Dark Earth Gray interior, XL trim. CLICK ME! KEY FEATURES INCLUDE 4x4, Back-Up Camera. Electronic Stability Control, Brake Assist, 4-Wheel ABS, Tire Pressure Monitoring System, 4-Wheel Disc Brakes. OPTION PACKAGES EQUIPMENT GROUP 101A MID SYNC, enhanced voice recognition communications and entertainment system, 911 assist, 4.2 LCD display in center stack, Applink and 1 smart charging USB port, 4.2 Productivity Screen in Instrument Cluster, compass, XL Power Equipment Group, Power Glass Sideview Mirrors w/Black Skull Caps, manual-folding, Power Door Locks, flip key and integrated key transmitter keyless-entry (includes Autolock), Illuminated Entry, Power Front & Rear Windows, Perimeter Alarm, Power Tailgate Lock, MyKey, Cruise Control, STX APPEARANCE PACKAGE Fog Lamps, Driver/Passenger Seat Back Pocket, SYNC 3, enhanced voice recognition communications and entertainment system, 8 LCD touchscreen in center stack w/swipe capability, AppLink, 911 Assist, Apple CarPlay and Android Auto and 2 smart charging USB ports, Box Side Decals, Rear Window Defroster, Wheels: 20 Machined-Aluminum, flash gray painted pockets, Manual Driver/Passenger Lumbar, Privacy Glass, Body-Color Surround w/Black Mesh Insert Grille, black mesh insert, Body-Color Front & Rear Bumpers, body-color front fascia, Tires: P275/55R20 BSW AT, 275/65R18 OWL all-season/all-terrain spare tire, ENGINE: 2.7L V6 ECOBOOST auto start-stop technology, 3.55 Axle Ratio, TRAILER TOW PACKAGE Towing capability up to TBD, tailgate LED, Class IV Trailer Hitch Receiver Tax DMV Fees & $597 processing fee are not included in vehicle prices shown and must be paid by the purchaser. Vehicle information is based off standard equipment and may vary from vehicle to vehicle. Call or email for complete vehicle specific informatio Chevrolet Ford Chrysler Dodge Jeep & Ram prices include current factory rebates and incentives some of which may require financing through the manufacturer and/or the customer must own/trade a certain make of vehicle. Residency restrictions apply see dealer for details and restrictions. All pricing and details are believed to be accurate but we do not warrant or guarantee such accuracy. The prices shown above may vary from region to region as will incentives and are subject to change. Oxford White exterior and Dark Earth Gray interior, XL trim. 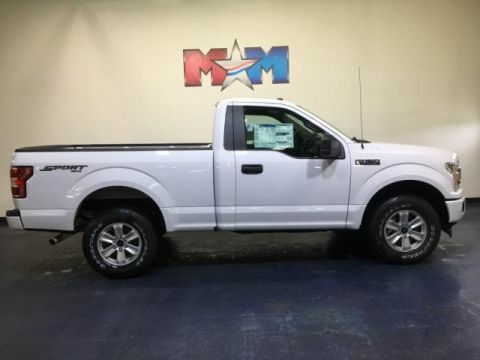 Tow Hitch, OXFORD WHITE, ENGINE: 2.7L V6 ECOBOOST, Back-Up Camera, 4x4, Turbo, REAR WINDOW FIXED PRIVACY GLASS, TRAILER TOW PACKAGE, FX4 OFF-ROAD PACKAGE AND MORE! KEY FEATURES INCLUDE 4x4, Back-Up Camera Electronic Stability Control, Brake Assist, 4-Wheel ABS, Tire Pressure Monitoring System, 4-Wheel Disc Brakes. OPTION PACKAGES EQUIPMENT GROUP 101A MID SYNC, enhanced voice recognition communications and entertainment system, 911 assist, 4.2 LCD display in center stack, Applink and 1 smart charging USB port, 4.2 Productivity Screen in Instrument Cluster, compass, XL Power Equipment Group, Power Glass Sideview Mirrors w/Black Skull Caps, manual-folding, Power Door Locks, flip key and integrated key transmitter keyless-entry (includes Autolock), Illuminated Entry, Power Front & Rear Windows, Perimeter Alarm, Power Tailgate Lock, MyKey, Cruise Control, STX APPEARANCE PACKAGE Fog Lamps, Driver/Passenger Seat Back Pocket, SYNC 3, enhanced voice recognition communications and entertainment system, 8 LCD touchscreen in center stack w/swipe capability, AppLink, 911 Assist, Apple CarPlay and Android Auto and 2 smart charging USB ports, Box Side Decals, Rear Window Defroster, Wheels: 20 Machined-Aluminum, flash gray painted pockets, Manual Driver/Passenger Lumbar, Privacy Glass, Body-Color Surround w/Black Mesh Insert Grille, black mesh insert, Body-Color Front & Rear Bumpers, body-color front fascia, Tires: P275/55R20 BSW AT, 275/65R18 OWL all-season/all-terrain spare tire, ENGINE: 2.7L V6 ECOBOOST auto start-stop technology, 3.55 Axle Ratio, TRAILER TOW PACKAGE Towing capability up to TBD, tailgate LED, Class IV Trailer Hitch Receiver Tax DMV Fees & $597 processing fee are not included in vehicle prices shown and must be paid by the purchaser. Vehicle information is based off standard equipment and may vary from vehicle to vehicle. Call or email for complete vehicle specific informatio Chevrolet Ford Chrysler Dodge Jeep & Ram prices include current factory rebates and incentives some of which may require financing through the manufacturer and/or the customer must own/trade a certain make of vehicle. Residency restrictions apply see dealer for details and restrictions. All pricing and details are believed to be accurate but we do not warrant or guarantee such accuracy. The prices shown above may vary from region to region as will incentives and are subject to change. 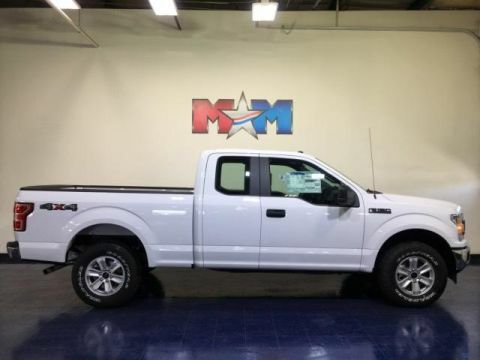 Hitch, OXFORD WHITE, ENGINE: 2.7L V6 ECOBOOST, Back-Up Camera, 4x4, Turbo Charged Engine, REAR WINDOW FIXED PRIVACY GLASS, TRAILER TOW PACKAGE, SKID PLATES. XL trim, Oxford White exterior and Medium Earth Gray interior. CLICK ME! KEY FEATURES INCLUDE 4x4, Back-Up Camera Child Safety Locks, Electronic Stability Control, Brake Assist, 4-Wheel ABS, 4-Wheel Disc Brakes. OPTION PACKAGES EQUIPMENT GROUP 101A MID SYNC, enhanced voice recognition communications and entertainment system, 911 assist, 4.2 LCD display in center stack, Applink and 1 smart charging USB port, 4.2 Productivity Screen in Instrument Cluster, compass, XL Power Equipment Group, Power Glass Sideview Mirrors w/Black Skull Caps, manual-folding, Power Door Locks, flip key and integrated key transmitter keyless-entry (includes Autolock), Illuminated Entry, Power Front & Rear Windows, Perimeter Alarm, Power Tailgate Lock, MyKey, Radio: AM/FM Stereo/Single-CD Player, 6 speakers, Cruise Control, STX APPEARANCE PACKAGE Fog Lamps, Driver/Passenger Seat Back Pocket, Box Side Decals, Rear Window Defroster, Wheels: 20 Machined-Aluminum, flash gray painted pockets, Manual Driver/Passenger Lumbar, Privacy Glass, SYNC 3, enhanced voice recognition communications and entertainment system, 8 LCD touchscreen in center stack w/swipe capability, AppLink, 911 Assist, Apple CarPlay and Android Auto and 2 smart charging USB ports, Body-Color Surround w/Black Mesh Insert Grille, black mesh insert, Body-Color Front & Rear Bumpers, body-color front fascia, Tires: P275/55R20 BSW AT, 275/65R18 OWL all-season/all-terrain spare tire, ENGINE: 2.7L V6 ECOBOOST auto start-stop technology, 3.55 Axle Ratio, GVWR: 6,600 lbs Payload Package Tax DMV Fees & $597 processing fee are not included in vehicle prices shown and must be paid by the purchaser. Vehicle information is based off standard equipment and may vary from vehicle to vehicle. Call or email for complete vehicle specific informatio Chevrolet Ford Chrysler Dodge Jeep & Ram prices include current factory rebates and incentives some of which may require financing through the manufacturer and/or the customer must own/trade a certain make of vehicle. Residency restrictions apply see dealer for details and restrictions. All pricing and details are believed to be accurate but we do not warrant or guarantee such accuracy. The prices shown above may vary from region to region as will incentives and are subject to change. Back-Up Camera, Hitch, EQUIPMENT GROUP 101A MID, TRANSMISSION: ELECTRONIC 6-SPEED AUTO... CLASS IV TRAILER HITCH RECEIVER, BLUE JEANS METALLIC. Blue Jeans Metallic exterior and Dark Earth Gray interior, XL trim. CLICK NOW! KEY FEATURES INCLUDE Back-Up Camera. Electronic Stability Control, Brake Assist, 4-Wheel ABS, Tire Pressure Monitoring System, 4-Wheel Disc Brakes. OPTION PACKAGES EQUIPMENT GROUP 101A MID SYNC, enhanced voice recognition communications and entertainment system, 911 assist, 4.2 LCD display in center stack, Applink and 1 smart charging USB port, 4.2 Productivity Screen in Instrument Cluster, compass, XL Power Equipment Group, Power Glass Sideview Mirrors w/Black Skull Caps, manual-folding, Power Door Locks, flip key and integrated key transmitter keyless-entry (includes Autolock), Illuminated Entry, Power Front & Rear Windows, Perimeter Alarm, Power Tailgate Lock, MyKey, Cruise Control, CLASS IV TRAILER HITCH RECEIVER towing capability up to TBD on 3.3L V6 PFDI engine (99B) and 2.7L EcoBoost engine (99P) or up to TBD on 3.5L EcoBoost engine (994), 3.5L EcoBoost High Output engine (99G) and 5.0L V8 engine (995), smart trailer tow connector and 4-pin/7-pin wiring harness, BLUE JEANS METALLIC, ENGINE: 3.3L V6 PDFI auto start-stop technology and flex-fuel capability (STD), TRANSMISSION: ELECTRONIC 6-SPEED AUTOMATIC selectable drive modes: normal/tow-haul/sport (STD). MORE ABOUT US At Shelor Motor Mile we have a price and payment to fit any budget. Our big selection means even bigger savings! Need extra spending money? Shelor wants your vehicle, and we're paying top dollar! Tax DMV Fees & $597 processing fee are not included in vehicle prices shown and must be paid by the purchaser. Vehicle information is based off standard equipment and may vary from vehicle to vehicle. Call or email for complete vehicle specific informatio Chevrolet Ford Chrysler Dodge Jeep & Ram prices include current factory rebates and incentives some of which may require financing through the manufacturer and/or the customer must own/trade a certain make of vehicle. Residency restrictions apply see dealer for details and restrictions. All pricing and details are believed to be accurate but we do not warrant or guarantee such accuracy. The prices shown above may vary from region to region as will incentives and are subject to change. Agate Black Metallic exterior and Dark Earth Gray interior, XL trim. AGATE BLACK METALLIC, ENGINE: 2.7L V6 ECOBOOST, REAR WINDOW FIXED PRIVACY GLASS, Tow Hitch, Back-Up Camera, 4x4, Turbo, 110V/400W OUTLET, SKID PLATES CLICK NOW! KEY FEATURES INCLUDE 4x4, Back-Up Camera. Electronic Stability Control, Brake Assist, 4-Wheel ABS, Tire Pressure Monitoring System, 4-Wheel Disc Brakes. OPTION PACKAGES EQUIPMENT GROUP 101A MID SYNC, enhanced voice recognition communications and entertainment system, 911 assist, 4.2 LCD display in center stack, Applink and 1 smart charging USB port, 4.2 Productivity Screen in Instrument Cluster, compass, XL Power Equipment Group, Power Glass Sideview Mirrors w/Black Skull Caps, manual-folding, Power Door Locks, flip key and integrated key transmitter keyless-entry (includes Autolock), Illuminated Entry, Power Front & Rear Windows, Perimeter Alarm, Power Tailgate Lock, MyKey, Cruise Control, STX APPEARANCE PACKAGE Fog Lamps, Driver/Passenger Seat Back Pocket, SYNC 3, enhanced voice recognition communications and entertainment system, 8 LCD touchscreen in center stack w/swipe capability, AppLink, 911 Assist, Apple CarPlay and Android Auto and 2 smart charging USB ports, Box Side Decals, Rear Window Defroster, Wheels: 20 Machined-Aluminum, flash gray painted pockets, Manual Driver/Passenger Lumbar, Privacy Glass, Body-Color Surround w/Black Mesh Insert Grille, black mesh insert, Body-Color Front & Rear Bumpers, body-color front fascia, Tires: P275/55R20 BSW AT, 275/65R18 OWL all-season/all-terrain spare tire, TRAILER TOW PACKAGE Towing capability up to TBD, tailgate LED, Class IV Trailer Hitch Receiver EXPERTS ARE SAYING Approx. Original Base Sticker Price: $43,800*. Tax DMV Fees & $597 processing fee are not included in vehicle prices shown and must be paid by the purchaser. Vehicle information is based off standard equipment and may vary from vehicle to vehicle. Call or email for complete vehicle specific informatio Chevrolet Ford Chrysler Dodge Jeep & Ram prices include current factory rebates and incentives some of which may require financing through the manufacturer and/or the customer must own/trade a certain make of vehicle. Residency restrictions apply see dealer for details and restrictions. All pricing and details are believed to be accurate but we do not warrant or guarantee such accuracy. The prices shown above may vary from region to region as will incentives and are subject to change. Agate Black Metallic exterior and Dark Earth Gray interior, XL trim. 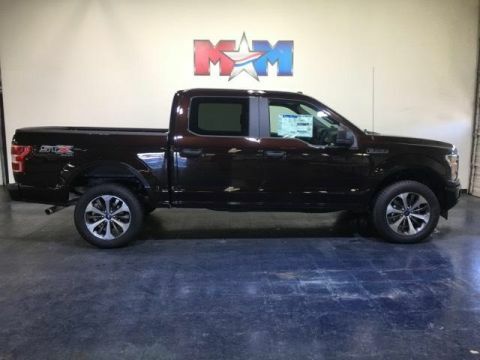 Tow Hitch, ELECTRONIC LOCKING W/3.73 AXLE RATIO, AGATE BLACK METALLIC, Back-Up Camera, 4x4, Turbo, ENGINE: 2.7L V6 ECOBOOST, TRAILER TOW PACKAGE, FOG LAMPS READ MORE! KEY FEATURES INCLUDE 4x4, Back-Up Camera. Electronic Stability Control, Brake Assist, 4-Wheel ABS, 4-Wheel Disc Brakes, Tire Pressure Monitoring System. OPTION PACKAGES EQUIPMENT GROUP 101A MID SYNC, enhanced voice recognition communications and entertainment system, 911 assist, 4.2 LCD display in center stack, Applink and 1 smart charging USB port, 4.2 Productivity Screen in Instrument Cluster, compass, XL Power Equipment Group, Power Glass Sideview Mirrors w/Black Skull Caps, manual-folding, Power Door Locks, flip key and integrated key transmitter keyless-entry (includes Autolock), Illuminated Entry, Power Front & Rear Windows, Perimeter Alarm, Power Tailgate Lock, MyKey, Cruise Control, TRAILER TOW PACKAGE Towing capability up to TBD, tailgate LED, Class IV Trailer Hitch Receiver, towing capability up to TBD on 3.3L V6 PFDI engine (99B) and 2.7L EcoBoost engine (99P) or up to TBD on 3.5L EcoBoost engine (994), 3.5L EcoBoost High Output engine (99G) and 5.0L V8 engine (995), smart trailer tow connector and 4-pin/7-pin wiring harness, Upgraded Front Stabilizer Bar, ENGINE: 2.7L V6 ECOBOOST auto start-stop technology, 3.55 Axle Ratio, FX4 OFF-ROAD PACKAGE Hill Descent Control, Off-Road Tuned Front Shock Absorbers, Skid Plates, fuel tank, transfer case and front differential, 4x4 FX4 Off-Road Bodyside Decal, XL CHROME APPEARANCE PACKAGE Fog Lamps (Fleet), Wheels: 17 Silver Painted Aluminum, Front & Rear Chrome Bumpers, body-color front fascia, REAR WINDOW DEFROSTER Tax DMV Fees & $597 processing fee are not included in vehicle prices shown and must be paid by the purchaser. Vehicle information is based off standard equipment and may vary from vehicle to vehicle. Call or email for complete vehicle specific informatio Chevrolet Ford Chrysler Dodge Jeep & Ram prices include current factory rebates and incentives some of which may require financing through the manufacturer and/or the customer must own/trade a certain make of vehicle. Residency restrictions apply see dealer for details and restrictions. All pricing and details are believed to be accurate but we do not warrant or guarantee such accuracy. The prices shown above may vary from region to region as will incentives and are subject to change. Trailer Hitch, ELECTRONIC LOCKING W/3.73 AXLE RATIO, MAGNETIC METALLIC, Back-Up Camera, 4x4, Turbo Charged, REAR WINDOW DEFROSTER, SIRIUSXM RADIO, FOG LAMPS. Magnetic Metallic exterior and Dark Earth Gray interior, XL trim CLICK NOW! KEY FEATURES INCLUDE 4x4, Back-Up Camera Electronic Stability Control, Brake Assist, 4-Wheel ABS, Tire Pressure Monitoring System, 4-Wheel Disc Brakes. OPTION PACKAGES EQUIPMENT GROUP 101A MID SYNC, enhanced voice recognition communications and entertainment system, 911 assist, 4.2 LCD display in center stack, Applink and 1 smart charging USB port, 4.2 Productivity Screen in Instrument Cluster, compass, XL Power Equipment Group, Power Glass Sideview Mirrors w/Black Skull Caps, manual-folding, Power Door Locks, flip key and integrated key transmitter keyless-entry (includes Autolock), Illuminated Entry, Power Front & Rear Windows, Perimeter Alarm, Power Tailgate Lock, MyKey, Cruise Control, STX APPEARANCE PACKAGE Fog Lamps, Driver/Passenger Seat Back Pocket, SYNC 3, enhanced voice recognition communications and entertainment system, 8 LCD touchscreen in center stack w/swipe capability, AppLink, 911 Assist, Apple CarPlay and Android Auto and 2 smart charging USB ports, Box Side Decals, Rear Window Defroster, Wheels: 20 Machined-Aluminum, flash gray painted pockets, Manual Driver/Passenger Lumbar, Privacy Glass, Body-Color Surround w/Black Mesh Insert Grille, black mesh insert, Body-Color Front & Rear Bumpers, body-color front fascia, Tires: P275/55R20 BSW AT, 275/65R18 OWL all-season/all-terrain spare tire, TRAILER TOW PACKAGE Towing capability up to TBD, tailgate LED, Class IV Trailer Hitch Receiver VEHICLE REVIEWS Approx. Original Base Sticker Price: $42,900*. Tax DMV Fees & $597 processing fee are not included in vehicle prices shown and must be paid by the purchaser. Vehicle information is based off standard equipment and may vary from vehicle to vehicle. Call or email for complete vehicle specific informatio Chevrolet Ford Chrysler Dodge Jeep & Ram prices include current factory rebates and incentives some of which may require financing through the manufacturer and/or the customer must own/trade a certain make of vehicle. Residency restrictions apply see dealer for details and restrictions. All pricing and details are believed to be accurate but we do not warrant or guarantee such accuracy. The prices shown above may vary from region to region as will incentives and are subject to change. Velocity Blue Metallic exterior and Medium Earth Gray interior, XL trim. 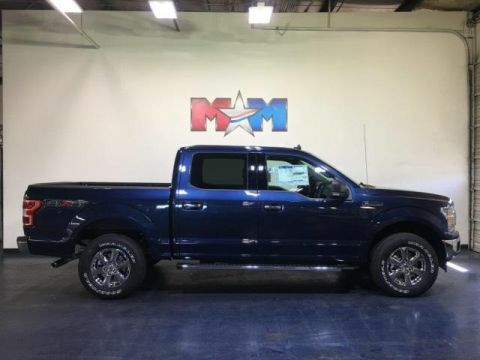 Hitch, VELOCITY BLUE METALLIC, ENGINE: 2.7L V6 ECOBOOST, Back-Up Camera, 4x4, Turbo Charged Engine, REAR WINDOW FIXED PRIVACY GLASS, REAR WINDOW DEFROSTER. SEE MORE! KEY FEATURES INCLUDE 4x4, Back-Up Camera. Electronic Stability Control, Brake Assist, 4-Wheel ABS, Tire Pressure Monitoring System, 4-Wheel Disc Brakes. OPTION PACKAGES EQUIPMENT GROUP 101A MID SYNC, enhanced voice recognition communications and entertainment system, 911 assist, 4.2 LCD display in center stack, Applink and 1 smart charging USB port, 4.2 Productivity Screen in Instrument Cluster, compass, XL Power Equipment Group, Power Glass Sideview Mirrors w/Black Skull Caps, manual-folding, Power Door Locks, flip key and integrated key transmitter keyless-entry (includes Autolock), Illuminated Entry, Power Front & Rear Windows, Perimeter Alarm, Power Tailgate Lock, MyKey, Cruise Control, STX APPEARANCE PACKAGE Fog Lamps, Driver/Passenger Seat Back Pocket, SYNC 3, enhanced voice recognition communications and entertainment system, 8 LCD touchscreen in center stack w/swipe capability, AppLink, 911 Assist, Apple CarPlay and Android Auto and 2 smart charging USB ports, Box Side Decals, Rear Window Defroster, Wheels: 20 Machined-Aluminum, flash gray painted pockets, Manual Driver/Passenger Lumbar, Privacy Glass, Body-Color Surround w/Black Mesh Insert Grille, black mesh insert, Body-Color Front & Rear Bumpers, body-color front fascia, Tires: P275/55R20 BSW AT, 275/65R18 OWL all-season/all-terrain spare tire, ENGINE: 2.7L V6 ECOBOOST auto start-stop technology, 3.55 Axle Ratio, TRAILER TOW PACKAGE Towing capability up to TBD, tailgate LED, Class IV Trailer Hitch Receiver Tax DMV Fees & $597 processing fee are not included in vehicle prices shown and must be paid by the purchaser. Vehicle information is based off standard equipment and may vary from vehicle to vehicle. Call or email for complete vehicle specific informatio Chevrolet Ford Chrysler Dodge Jeep & Ram prices include current factory rebates and incentives some of which may require financing through the manufacturer and/or the customer must own/trade a certain make of vehicle. Residency restrictions apply see dealer for details and restrictions. All pricing and details are believed to be accurate but we do not warrant or guarantee such accuracy. The prices shown above may vary from region to region as will incentives and are subject to change. XL trim. 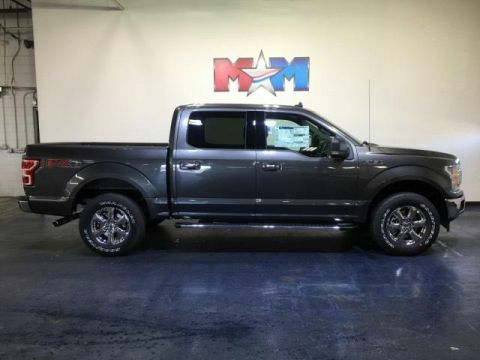 MAGNETIC METALLIC, ENGINE: 2.7L V6 ECOBOOST, REAR WINDOW FIXED PRIVACY GLASS, Hitch, Back-Up Camera, 4x4, Turbo Charged Engine, REAR WINDOW DEFROSTER, SIRIUSXM RADIO, TRAILER TOW PACKAGE, REVERSE SENSING SYSTEM. READ MORE! KEY FEATURES INCLUDE 4x4, Back-Up Camera Electronic Stability Control, Brake Assist, 4-Wheel ABS, Tire Pressure Monitoring System, 4-Wheel Disc Brakes. OPTION PACKAGES EQUIPMENT GROUP 101A MID SYNC, enhanced voice recognition communications and entertainment system, 911 assist, 4.2 LCD display in center stack, Applink and 1 smart charging USB port, 4.2 Productivity Screen in Instrument Cluster, compass, XL Power Equipment Group, Power Glass Sideview Mirrors w/Black Skull Caps, manual-folding, Power Door Locks, flip key and integrated key transmitter keyless-entry (includes Autolock), Illuminated Entry, Power Front & Rear Windows, Perimeter Alarm, Power Tailgate Lock, MyKey, Cruise Control, STX APPEARANCE PACKAGE Fog Lamps, Driver/Passenger Seat Back Pocket, SYNC 3, enhanced voice recognition communications and entertainment system, 8 LCD touchscreen in center stack w/swipe capability, AppLink, 911 Assist, Apple CarPlay and Android Auto and 2 smart charging USB ports, Box Side Decals, Rear Window Defroster, Wheels: 20 Machined-Aluminum, flash gray painted pockets, Manual Driver/Passenger Lumbar, Privacy Glass, Body-Color Surround w/Black Mesh Insert Grille, black mesh insert, Body-Color Front & Rear Bumpers, body-color front fascia, Tires: P275/55R20 BSW AT, 275/65R18 OWL all-season/all-terrain spare tire, ENGINE: 2.7L V6 ECOBOOST auto start-stop technology, 3.55 Axle Ratio, TRAILER TOW PACKAGE Towing capability up to TBD, tailgate LED, Class IV Trailer Hitch Receiver Tax DMV Fees & $597 processing fee are not included in vehicle prices shown and must be paid by the purchaser. Vehicle information is based off standard equipment and may vary from vehicle to vehicle. Call or email for complete vehicle specific informatio Chevrolet Ford Chrysler Dodge Jeep & Ram prices include current factory rebates and incentives some of which may require financing through the manufacturer and/or the customer must own/trade a certain make of vehicle. Residency restrictions apply see dealer for details and restrictions. All pricing and details are believed to be accurate but we do not warrant or guarantee such accuracy. The prices shown above may vary from region to region as will incentives and are subject to change. 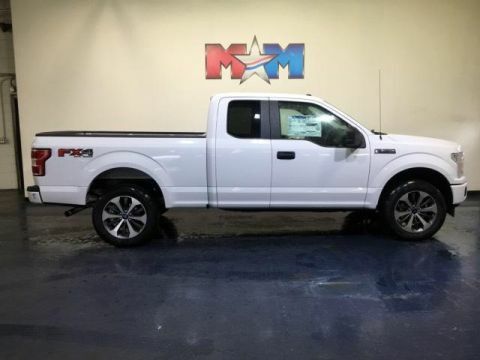 Navigation, Heated Seats, Trailer Hitch, ENGINE: 3.5L V6 ECOBOOST, OXFORD WHITE, Turbo Charged, WiFi Hotspot, Smart Device Integration, Back-Up Camera. Oxford White exterior and Medium Earth Gray interior, XLT trim. CLICK NOW! KEY FEATURES INCLUDE Back-Up Camera, Onboard Communications System, WiFi Hotspot, Smart Device Integration. Keyless Entry, Steering Wheel Controls, Electronic Stability Control, Brake Assist, 4-Wheel ABS. OPTION PACKAGES EQUIPMENT GROUP 302A LUXURY 4.2 Productivity Screen in Instrument Cluster, Rear Window Defroster, SiriusXM Radio, 7 speakers and 6-month prepaid subscription, Service is not available in Alaska and Hawaii, Subscriptions to all SiriusXM services are sold by SiriusXM after trial period, If you decide to continue service after your trial, the subscription plan you choose will automatically renew thereafter and you will be charged according to your chosen payment method at then-current rates, Fees and taxes apply, To cancel you must call SiriusXM at 1-866-635-2349, See SiriusXM Customer Agreement for complete terms at www.siriusxm.com, All fees and programming subject to change, Sirius, XM and all related marks and logos are trademarks of Sirius XM Radio Inc, XLT Chrome Appearance Package, ENGINE: 3.5L V6 ECOBOOST auto start-stop technology, GVWR: 6,900 lbs Payload Package, 3.15 Axle Ratio, XLT CHROME APPEARANCE PACKAGE Chrome Step Bars, 2-Bar Style Grille w/Chrome 2 Minor Bars, silver painted surround and black background mesh, Tires: P265/60R18 BSW A/S, Chrome Door & Tailgate Handles w/Body-Color Bezel, bezel on side doors and black on tailgate, Wheels: 18 Chrome-Like PVD, Single-Tip Chrome Exhaust, TRAILER TOW PACKAGE Towing capability up to TBD, tailgate LED Tax DMV Fees & $597 processing fee are not included in vehicle prices shown and must be paid by the purchaser. Vehicle information is based off standard equipment and may vary from vehicle to vehicle. Call or email for complete vehicle specific informatio Chevrolet Ford Chrysler Dodge Jeep & Ram prices include current factory rebates and incentives some of which may require financing through the manufacturer and/or the customer must own/trade a certain make of vehicle. Residency restrictions apply see dealer for details and restrictions. All pricing and details are believed to be accurate but we do not warrant or guarantee such accuracy. The prices shown above may vary from region to region as will incentives and are subject to change. Agate Black Metallic exterior and Dark Earth Gray interior, XL trim. 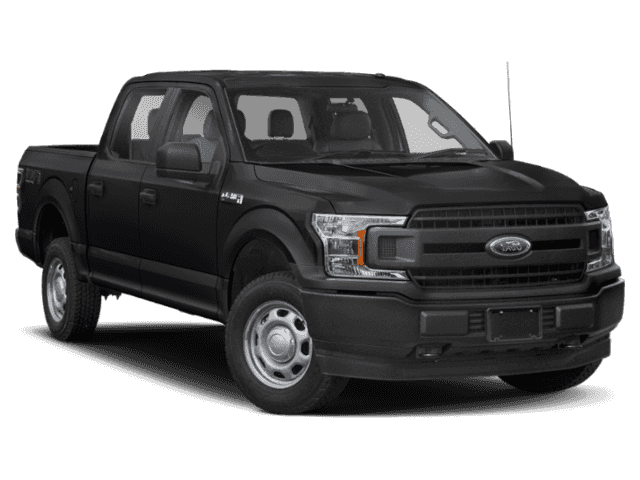 Tow Hitch, AGATE BLACK METALLIC, ENGINE: 2.7L V6 ECOBOOST, Back-Up Camera, 4x4, Turbo, CLASS IV TRAILER HITCH RECEIVER, FX4 OFF-ROAD PACKAGE, SKID PLATES. SEE MORE! KEY FEATURES INCLUDE 4x4, Back-Up Camera. Electronic Stability Control, Brake Assist, 4-Wheel ABS, 4-Wheel Disc Brakes, Tire Pressure Monitoring System. OPTION PACKAGES EQUIPMENT GROUP 101A MID SYNC, enhanced voice recognition communications and entertainment system, 911 assist, 4.2 LCD display in center stack, Applink and 1 smart charging USB port, 4.2 Productivity Screen in Instrument Cluster, compass, XL Power Equipment Group, Power Glass Sideview Mirrors w/Black Skull Caps, manual-folding, Power Door Locks, flip key and integrated key transmitter keyless-entry (includes Autolock), Illuminated Entry, Power Front & Rear Windows, Perimeter Alarm, Power Tailgate Lock, MyKey, Cruise Control, ENGINE: 2.7L V6 ECOBOOST auto start-stop technology, 3.55 Axle Ratio, FX4 OFF-ROAD PACKAGE Hill Descent Control, Off-Road Tuned Front Shock Absorbers, Skid Plates, fuel tank, transfer case and front differential, 4x4 FX4 Off-Road Bodyside Decal, XL SPORT APPEARANCE PACKAGE Fog Lamps, Box Side Decals, Wheels: 17 Silver Painted Aluminum, Body-Color Front & Rear Bumpers, body-color front fascia, REAR WINDOW DEFROSTER, SIRIUSXM RADIO a 6-month prepaid subscription, Service is not available in Alaska and Hawaii, Subscriptions to all SiriusXM services are sold by SiriusXM after trial period, If you decide to continue service after your trial, the subscription plan you choose will automatically renew thereafter and you will be charged according to your chosen payment method at then-current rates Tax DMV Fees & $597 processing fee are not included in vehicle prices shown and must be paid by the purchaser. Vehicle information is based off standard equipment and may vary from vehicle to vehicle. Call or email for complete vehicle specific informatio Chevrolet Ford Chrysler Dodge Jeep & Ram prices include current factory rebates and incentives some of which may require financing through the manufacturer and/or the customer must own/trade a certain make of vehicle. Residency restrictions apply see dealer for details and restrictions. All pricing and details are believed to be accurate but we do not warrant or guarantee such accuracy. The prices shown above may vary from region to region as will incentives and are subject to change. Heated Seats, Nav System, Turbo Charged Engine, Hitch, ENGINE: 2.7L V6 ECOBOOST, AGATE BLACK METALLIC, WiFi Hotspot, Smart Device Integration, 4x4. Agate Black Metallic exterior and Dark Earth Gray interior, XLT trim. CLICK NOW! KEY FEATURES INCLUDE 4x4, Back-Up Camera, Onboard Communications System, WiFi Hotspot, Smart Device Integration. Keyless Entry, Steering Wheel Controls, Electronic Stability Control, Brake Assist, 4-Wheel ABS. OPTION PACKAGES EQUIPMENT GROUP 302A LUXURY 4.2 Productivity Screen in Instrument Cluster, Rear Window Defroster, SiriusXM Radio, 7 speakers and 6-month prepaid subscription, Service is not available in Alaska and Hawaii, Subscriptions to all SiriusXM services are sold by SiriusXM after trial period, If you decide to continue service after your trial, the subscription plan you choose will automatically renew thereafter and you will be charged according to your chosen payment method at then-current rates, Fees and taxes apply, To cancel you must call SiriusXM at 1-866-635-2349, See SiriusXM Customer Agreement for complete terms at www.siriusxm.com, All fees and programming subject to change, Sirius, XM and all related marks and logos are trademarks of Sirius XM Radio Inc, XLT Chrome Appearance Package, 2, XLT CHROME APPEARANCE PACKAGE 2 chrome front tow hooks, Tires: P275/65R18 OWL A/S, Chrome Step Bars, 2-Bar Style Grille w/Chrome 2 Minor Bars, silver painted surround and black background mesh, Chrome Door & Tailgate Handles w/Body-Color Bezel, bezel on side doors and black on tailgate, Wheels: 18 Chrome-Like PVD, Single-Tip Chrome Exhaust, TRAILER TOW PACKAGE Towing capability up to TBD, tailgate LED, Class IV Trailer Hitch Receiver Tax DMV Fees & $597 processing fee are not included in vehicle prices shown and must be paid by the purchaser. Vehicle information is based off standard equipment and may vary from vehicle to vehicle. Call or email for complete vehicle specific informatio Chevrolet Ford Chrysler Dodge Jeep & Ram prices include current factory rebates and incentives some of which may require financing through the manufacturer and/or the customer must own/trade a certain make of vehicle. Residency restrictions apply see dealer for details and restrictions. All pricing and details are believed to be accurate but we do not warrant or guarantee such accuracy. The prices shown above may vary from region to region as will incentives and are subject to change. Race Red exterior and Dark Earth Gray interior, XL trim. 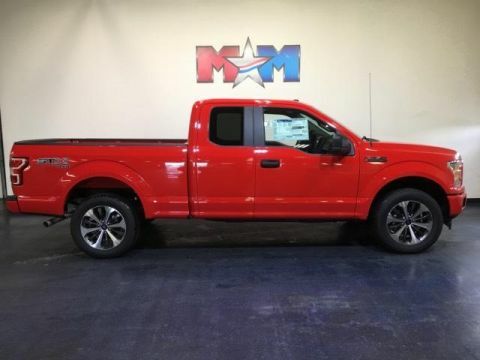 Trailer Hitch, RACE RED, ENGINE: 2.7L V6 ECOBOOST, Back-Up Camera, 4x4, Turbo Charged, TRANSMISSION: ELECTRONIC 10-SPEED AUT... CLASS IV TRAILER HITCH RECEIVER. CLICK NOW! KEY FEATURES INCLUDE 4x4, Back-Up Camera. Child Safety Locks, Electronic Stability Control, Brake Assist, 4-Wheel ABS, 4-Wheel Disc Brakes. OPTION PACKAGES EQUIPMENT GROUP 101A MID SYNC, enhanced voice recognition communications and entertainment system, 911 assist, 4.2 LCD display in center stack, Applink and 1 smart charging USB port, 4.2 Productivity Screen in Instrument Cluster, compass, XL Power Equipment Group, Power Glass Sideview Mirrors w/Black Skull Caps, manual-folding, Power Door Locks, flip key and integrated key transmitter keyless-entry (includes Autolock), Illuminated Entry, Power Front & Rear Windows, Perimeter Alarm, Power Tailgate Lock, MyKey, Cruise Control, STX APPEARANCE PACKAGE Fog Lamps, Driver/Passenger Seat Back Pocket, SYNC 3, enhanced voice recognition communications and entertainment system, 8 LCD touchscreen in center stack w/swipe capability, AppLink, 911 Assist, Apple CarPlay and Android Auto and 2 smart charging USB ports, Box Side Decals, Rear Window Defroster, Wheels: 20 Machined-Aluminum, flash gray painted pockets, Manual Driver/Passenger Lumbar, Privacy Glass, Body-Color Surround w/Black Mesh Insert Grille, black mesh insert, Body-Color Front & Rear Bumpers, body-color front fascia, Tires: P275/55R20 BSW AT, 275/65R18 OWL all-season/all-terrain spare tire, ENGINE: 2.7L V6 ECOBOOST auto start-stop technology, 3.55 Axle Ratio, GVWR: 6,600 lbs Payload Package, XL SPORT APPEARANCE PACKAGE Fog Lamps, Box Side Decals, Wheels: 17 Silver Painted Aluminum Tax DMV Fees & $597 processing fee are not included in vehicle prices shown and must be paid by the purchaser. Vehicle information is based off standard equipment and may vary from vehicle to vehicle. Call or email for complete vehicle specific informatio Chevrolet Ford Chrysler Dodge Jeep & Ram prices include current factory rebates and incentives some of which may require financing through the manufacturer and/or the customer must own/trade a certain make of vehicle. Residency restrictions apply see dealer for details and restrictions. All pricing and details are believed to be accurate but we do not warrant or guarantee such accuracy. The prices shown above may vary from region to region as will incentives and are subject to change. XL trim, Race Red exterior and Black interior. Hitch, RACE RED, ENGINE: 2.7L V6 ECOBOOST, Back-Up Camera, 4x4, Turbo Charged Engine, REAR WINDOW DEFROSTER, SIRIUSXM RADIO, TRAILER TOW PACKAGE, EQUIPMENT GROUP 101A MID CLICK NOW! KEY FEATURES INCLUDE 4x4, Back-Up Camera. Electronic Stability Control, Brake Assist, 4-Wheel ABS, Tire Pressure Monitoring System, 4-Wheel Disc Brakes. OPTION PACKAGES EQUIPMENT GROUP 101A MID SYNC, enhanced voice recognition communications and entertainment system, 911 assist, 4.2 LCD display in center stack, Applink and 1 smart charging USB port, 4.2 Productivity Screen in Instrument Cluster, compass, XL Power Equipment Group, Power Glass Sideview Mirrors w/Black Skull Caps, manual-folding, Power Door Locks, flip key and integrated key transmitter keyless-entry (includes Autolock), Illuminated Entry, Power Front & Rear Windows, Perimeter Alarm, Power Tailgate Lock, MyKey, Cruise Control, STX APPEARANCE PACKAGE Fog Lamps, Driver/Passenger Seat Back Pocket, SYNC 3, enhanced voice recognition communications and entertainment system, 8 LCD touchscreen in center stack w/swipe capability, AppLink, 911 Assist, Apple CarPlay and Android Auto and 2 smart charging USB ports, Box Side Decals, Rear Window Defroster, Wheels: 20 Machined-Aluminum, flash gray painted pockets, Manual Driver/Passenger Lumbar, Privacy Glass, Body-Color Surround w/Black Mesh Insert Grille, black mesh insert, Body-Color Front & Rear Bumpers, body-color front fascia, Tires: P275/55R20 BSW AT, 275/65R18 OWL all-season/all-terrain spare tire, TRAILER TOW PACKAGE Towing capability up to TBD, tailgate LED, Class IV Trailer Hitch Receiver VEHICLE REVIEWS Approx. Original Base Sticker Price: $43,200*. Tax DMV Fees & $597 processing fee are not included in vehicle prices shown and must be paid by the purchaser. Vehicle information is based off standard equipment and may vary from vehicle to vehicle. Call or email for complete vehicle specific informatio Chevrolet Ford Chrysler Dodge Jeep & Ram prices include current factory rebates and incentives some of which may require financing through the manufacturer and/or the customer must own/trade a certain make of vehicle. Residency restrictions apply see dealer for details and restrictions. All pricing and details are believed to be accurate but we do not warrant or guarantee such accuracy. The prices shown above may vary from region to region as will incentives and are subject to change. Blue Jeans Metallic exterior and Medium Earth Gray interior, XLT trim. Turbo Charged Engine, Aluminum Wheels, 4x4, CD Player, Back-Up Camera, TRANSMISSION: ELECTRONIC 10-SPEED AUT... SYNC 3, BLACK PLATFORM RUNNING BOARDS CLICK ME! KEY FEATURES INCLUDE 4x4, Back-Up Camera, CD Player, Aluminum Wheels Keyless Entry, Privacy Glass, Child Safety Locks, Electronic Stability Control, Brake Assist. 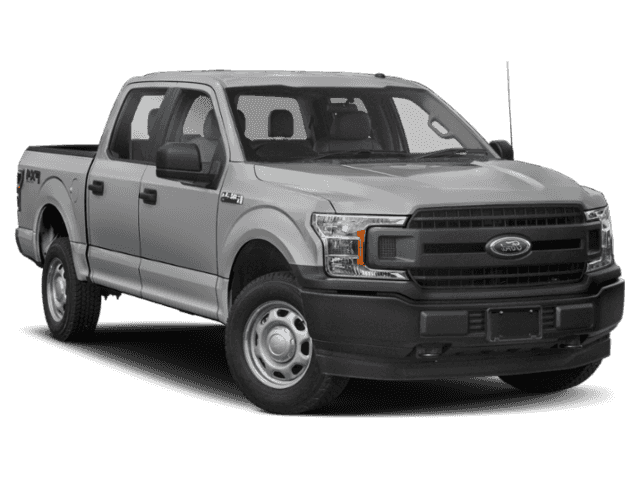 OPTION PACKAGES TRAILER TOW PACKAGE Towing capability up to 11,100 lbs, Class IV Trailer Hitch Receiver, towing capability up to 5,000 lbs, on 3.3L V6 PFDI engine (99B) and 2.7L EcoBoost engine (99P) or up to 7,000 lbs, on 3.5L EcoBoost engine (99G) and 5.0L V8 engine (995), smart trailer tow connector and 4-pin/7-pin wiring harness, Pro Trailer Backup Assist, Upgraded Front Stabilizer Bar, ENGINE: 2.7L V6 ECOBOOST auto start-stop technology, 3.55 Axle Ratio, GVWR: 6,600 lbs Payload Package, ELECTRONIC LOCKING W/3.73 AXLE RATIO, SYNC 3 enhanced voice recognition communications and entertainment system, 8 LCD touchscreen in center stack w/swiping and pinch-to-zoom capabilities, pinch-to-zoom capability included when equipped w/available voice activated touchscreen navigation system, AppLink, 911 Assist, Apple CarPlay and Android Auto and 2 smart charging USB ports, Note: SYNC AppLink lets you control some of your favorite compatible mobile apps w/your voice, It is compatible w/select smartphone platforms, Commands may vary by phone and AppLink software, BLACK PLATFORM RUNNING BOARDS, TRANSMISSION: ELECTRONIC 10-SPEED AUTOMATIC selectable drive modes: normal/tow-haul/snow-wet/EcoSelect/sport, BLUE JEANS METALLIC, EQUIPMENT GROUP 300A BASE. EXPERTS ARE SAYING Approx. Original Base Sticker Price: $47,500*. Tax DMV Fees & $597 processing fee are not included in vehicle prices shown and must be paid by the purchaser. Vehicle information is based off standard equipment and may vary from vehicle to vehicle. Call or email for complete vehicle specific informatio Chevrolet Ford Chrysler Dodge Jeep & Ram prices include current factory rebates and incentives some of which may require financing through the manufacturer and/or the customer must own/trade a certain make of vehicle. Residency restrictions apply see dealer for details and restrictions. All pricing and details are believed to be accurate but we do not warrant or guarantee such accuracy. The prices shown above may vary from region to region as will incentives and are subject to change. MAGMA RED METALLIC, MAGMA RED METALLIC, ENGINE: 5.0L V8, Back-Up Camera, 4x4, Hitch, REAR WINDOW FIXED PRIVACY GLASS, TRAILER TOW PACKAGE, REAR WINDOW DEFROSTER. XL trim, Magma Red Metallic exterior and Black interior READ MORE! KEY FEATURES INCLUDE 4x4, Back-Up Camera Child Safety Locks, Electronic Stability Control, Brake Assist, 4-Wheel ABS, 4-Wheel Disc Brakes. OPTION PACKAGES EQUIPMENT GROUP 101A MID SYNC, enhanced voice recognition communications and entertainment system, 911 assist, 4.2 LCD display in center stack, Applink and 1 smart charging USB port, 4.2 Productivity Screen in Instrument Cluster, compass, XL Power Equipment Group, Power Glass Sideview Mirrors w/Black Skull Caps, manual-folding, Power Door Locks, flip key and integrated key transmitter keyless-entry (includes Autolock), Illuminated Entry, Power Front & Rear Windows, Perimeter Alarm, Power Tailgate Lock, MyKey, Cruise Control, ENGINE: 5.0L V8 auto start-stop technology and flex-fuel capability, 3.31 Axle Ratio, GVWR: 7,000 lbs Payload Package, STX APPEARANCE PACKAGE Fog Lamps, Driver/Passenger Seat Back Pocket, SYNC 3, enhanced voice recognition communications and entertainment system, 8 LCD touchscreen in center stack w/swipe capability, AppLink, 911 Assist, Apple CarPlay and Android Auto and 2 smart charging USB ports, Box Side Decals, Rear Window Defroster, Wheels: 20 Machined-Aluminum, flash gray painted pockets, Manual Driver/Passenger Lumbar, Privacy Glass, Body-Color Surround w/Black Mesh Insert Grille, black mesh insert, Body-Color Front & Rear Bumpers, body-color front fascia, Tires: P275/55R20 BSW AT, 275/65R18 OWL all-season/all-terrain spare tire, TRAILER TOW PACKAGE Towing capability up to TBD, tailgate LED Tax DMV Fees & $597 processing fee are not included in vehicle prices shown and must be paid by the purchaser. Vehicle information is based off standard equipment and may vary from vehicle to vehicle. Call or email for complete vehicle specific informatio Chevrolet Ford Chrysler Dodge Jeep & Ram prices include current factory rebates and incentives some of which may require financing through the manufacturer and/or the customer must own/trade a certain make of vehicle. Residency restrictions apply see dealer for details and restrictions. All pricing and details are believed to be accurate but we do not warrant or guarantee such accuracy. The prices shown above may vary from region to region as will incentives and are subject to change. Heated Seats, Nav System, SHADOW BLACK, XLT CHROME APPEARANCE PACKAGE, 110V/400W OUTLET, ENGINE: 3.5L V6 ECOBOOST, 4x4, Back-Up Camera, Hitch, LED BOX LIGHTING. 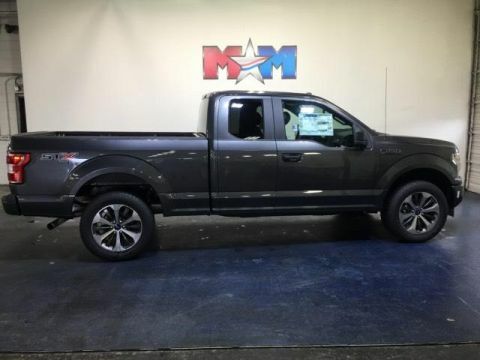 XLT trim, Shadow Black exterior and Medium Earth Gray interior CLICK NOW! KEY FEATURES INCLUDE 4x4, Back-Up Camera. Keyless Entry, Child Safety Locks, Electronic Stability Control, Brake Assist, 4-Wheel ABS. 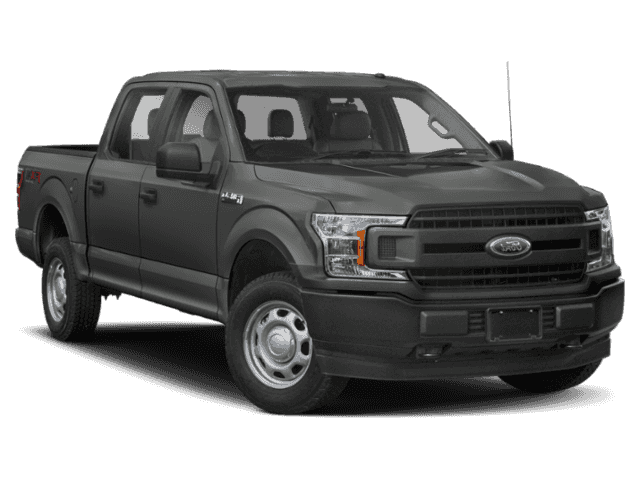 OPTION PACKAGES EQUIPMENT GROUP 302A LUXURY 4.2 Productivity Screen in Instrument Cluster, Reverse Sensing System, Class IV Trailer Hitch Receiver, towing capability up to 5,000 lbs, on 3.3L V6 PFDI engine (99B) and 2.7L EcoBoost engine (99P) or up to 7,000 lbs, on 3.5L EcoBoost engine (99G) and 5.0L V8 engine (995), smart trailer tow connector and 4-pin/7-pin wiring harness, Rear Window Defroster, XLT Chrome Appearance Package, 2 chrome front tow hooks, Tires: P275/65R18 OWL A/S, Chrome Step Bars, 2-Bar Style Grille w/Chrome 2 Minor Bars, silver painted surround and black background mesh, Chrome Door & Tailgate Handles w/Body-Color Bezel, bezel on side doors and black on tailgate, Wheels: 18 Chrome-Like PVD, Single-Tip Chrome Exhaust, Rear Under-Seat Storage, SYNC 3, enhanced voice recognition, ENGINE: 3.5L V6 ECOBOOST auto start-stop technology, 3.31 Axle Ratio, GVWR: 6,750 lbs Payload Package, XLT CHROME APPEARANCE PACKAGE 2 chrome front tow hooks, Tires: P275/65R18 OWL A/S, Chrome Step Bars, 2-Bar Style Grille w/Chrome 2 Minor Bars, silver painted surround and black background mesh, Chrome Door & Tailgate Handles w/Body-Color Bezel, bezel on side doors and black on tailgate, Wheels: 18 Chrome-Like PVD, Single-Tip Chrome Exhaust, TRAILER TOW PACKAGE Towing capability up to 11,100 lbs, Class IV Trailer Hitch Receiver, towing capability up to 5 Tax DMV Fees & $597 processing fee are not included in vehicle prices shown and must be paid by the purchaser. Vehicle information is based off standard equipment and may vary from vehicle to vehicle. Call or email for complete vehicle specific informatio Chevrolet Ford Chrysler Dodge Jeep & Ram prices include current factory rebates and incentives some of which may require financing through the manufacturer and/or the customer must own/trade a certain make of vehicle. Residency restrictions apply see dealer for details and restrictions. All pricing and details are believed to be accurate but we do not warrant or guarantee such accuracy. The prices shown above may vary from region to region as will incentives and are subject to change. Oxford White exterior and Medium Earth Gray interior, XLT trim. Onboard Communications System, iPod/MP3 Input, Back-Up Camera, WiFi Hotspot, Smart Device Integration, Remote Engine Start, CLASS IV TRAILER HITCH RECEIVER. SEE MORE! KEY FEATURES INCLUDE 4x4, Back-Up Camera, iPod/MP3 Input, Onboard Communications System, Aluminum Wheels, Remote Engine Start, Smart Device Integration, WiFi Hotspot MP3 Player, Keyless Entry, Privacy Glass, Child Safety Locks, Steering Wheel Controls. 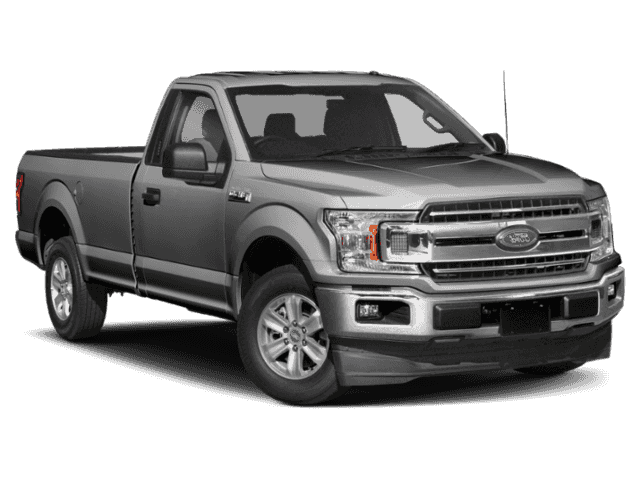 OPTION PACKAGES ENGINE: 2.7L V6 ECOBOOST auto start-stop technology, 3.55 Axle Ratio, GVWR: 6,600 lbs Payload Package, TRAY STYLE FLOOR LINER, CLASS IV TRAILER HITCH RECEIVER towing capability up to TBD on 3.3L V6 PFDI engine (99B) and 2.7L EcoBoost engine (99P) or up to TBD on 3.5L EcoBoost engine (994), 3.5L EcoBoost High Output engine (99G) and 5.0L V8 engine (995), smart trailer tow connector and 4-pin/7-pin wiring harness, OXFORD WHITE, TRANSMISSION: ELECTRONIC 10-SPEED AUTOMATIC selectable drive modes: normal/tow-haul/snow-wet/EcoSelect/sport, EQUIPMENT GROUP 300A BASE. Ford XLT with Oxford White exterior and Medium Earth Gray interior features a V6 Cylinder Engine with 290 HP at 6500 RPM*. 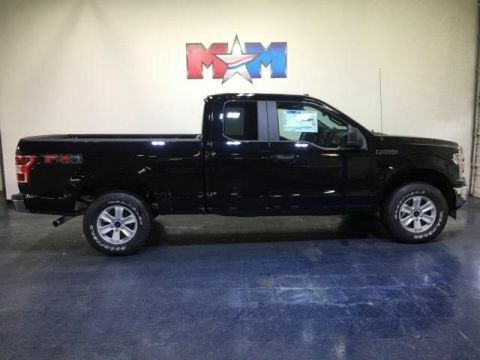 EXPERTS RAVE Edmunds.com explains This truck steers and handles about as well as anything in the class. It has confidence-inspiring brakes, too. They feel reassuring even when towing a trailer.. Approx. Original Base Sticker Price: $46,100*. OUR OFFERINGS At Shelor Motor Mile we have a price and payment to fit any budget. Our big selection means even bigger savings! Need extra spending money? Shelor wants your vehicle, and we're paying top dollar! Tax DMV Fees & $597 processing fee are not included in vehicle prices shown and must be paid by the purchaser. Vehicle information is based off standard equipment and may vary from vehicle to vehicle. Call or email for complete vehicle specific informatio Chevrolet Ford Chrysler Dodge Jeep & Ram prices include current factory rebates and incentives some of which may require financing through the manufacturer and/or the customer must own/trade a certain make of vehicle. Residency restrictions apply see dealer for details and restrictions. All pricing and details are believed to be accurate but we do not warrant or guarantee such accuracy. The prices shown above may vary from region to region as will incentives and are subject to change. Oxford White exterior and Dark Earth Gray interior, XL trim. Hitch, 4x4, Back-Up Camera, OXFORD WHITE, CLASS IV TRAILER HITCH RECEIVER, EQUIPMENT GROUP 101A MID, TRANSMISSION: ELECTRONIC 6-SPEED AUTO... FOG LAMPS. CLICK NOW! KEY FEATURES INCLUDE 4x4, Back-Up Camera. Electronic Stability Control, Brake Assist, 4-Wheel ABS, 4-Wheel Disc Brakes, Tire Pressure Monitoring System. OPTION PACKAGES EQUIPMENT GROUP 101A MID SYNC, enhanced voice recognition communications and entertainment system, 911 assist, 4.2 LCD display in center stack, Applink and 1 smart charging USB port, 4.2 Productivity Screen in Instrument Cluster, compass, XL Power Equipment Group, Power Glass Sideview Mirrors w/Black Skull Caps, manual-folding, Power Door Locks, flip key and integrated key transmitter keyless-entry (includes Autolock), Illuminated Entry, Power Front & Rear Windows, Perimeter Alarm, Power Tailgate Lock, MyKey, Cruise Control, XL CHROME APPEARANCE PACKAGE Fog Lamps (Fleet), Wheels: 17 Silver Painted Aluminum, Front & Rear Chrome Bumpers, body-color front fascia, ELECTRONIC LOCKING W/3.73 AXLE RATIO, FOG LAMPS, CLASS IV TRAILER HITCH RECEIVER towing capability up to TBD on 3.3L V6 PFDI engine (99B) and 2.7L EcoBoost engine (99P) or up to TBD on 3.5L EcoBoost engine (994), 3.5L EcoBoost High Output engine (99G) and 5.0L V8 engine (995), smart trailer tow connector and 4-pin/7-pin wiring harness, OXFORD WHITE, TRANSMISSION: ELECTRONIC 6-SPEED AUTOMATIC selectable drive modes: normal/tow-haul/sport (STD), ENGINE: 3.3L V6 PDFI auto start-stop technology and flex-fuel capability (STD). Ford XL with Oxford White exterior and Dark Earth Gray interior features a V6 Cylinder Engine with 290 HP at 6500 RPM*. Tax DMV Fees & $597 processing fee are not included in vehicle prices shown and must be paid by the purchaser. Vehicle information is based off standard equipment and may vary from vehicle to vehicle. Call or email for complete vehicle specific informatio Chevrolet Ford Chrysler Dodge Jeep & Ram prices include current factory rebates and incentives some of which may require financing through the manufacturer and/or the customer must own/trade a certain make of vehicle. Residency restrictions apply see dealer for details and restrictions. All pricing and details are believed to be accurate but we do not warrant or guarantee such accuracy. The prices shown above may vary from region to region as will incentives and are subject to change. 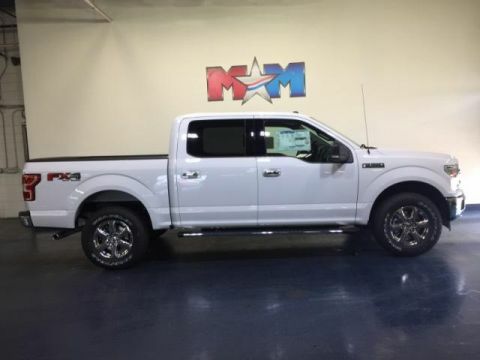 Heated Seats, Nav System, Turbo Charged Engine, Hitch, ENGINE: 3.5L V6 ECOBOOST, MAGNETIC METALLIC, WiFi Hotspot, Smart Device Integration, 4x4, Back-Up Camera. 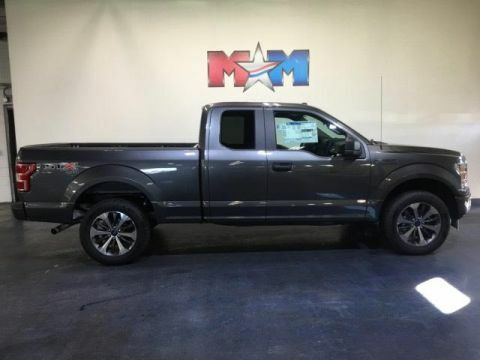 XLT trim, Magnetic Metallic exterior and Dark Earth Gray interior. CLICK NOW! KEY FEATURES INCLUDE 4x4, Back-Up Camera, Onboard Communications System, WiFi Hotspot, Smart Device Integration Keyless Entry, Steering Wheel Controls, Electronic Stability Control, Brake Assist, 4-Wheel ABS. OPTION PACKAGES EQUIPMENT GROUP 302A LUXURY 4.2 Productivity Screen in Instrument Cluster, Rear Window Defroster, SiriusXM Radio, 7 speakers and 6-month prepaid subscription, Service is not available in Alaska and Hawaii, Subscriptions to all SiriusXM services are sold by SiriusXM after trial period, If you decide to continue service after your trial, the subscription plan you choose will automatically renew thereafter and you will be charged according to your chosen payment method at then-current rates, Fees and taxes apply, To cancel you must call SiriusXM at 1-866-635-2349, See SiriusXM Customer Agreement for complete terms at www.siriusxm.com, All fees and programming subject to change, Sirius, XM and all related marks and logos are trademarks of Sirius XM Radio Inc, XLT Chrome Appearance Package, 2, ENGINE: 3.5L V6 ECOBOOST auto start-stop technology, 3.31 Axle Ratio, GVWR: 7,050 lbs Payload Package, XLT CHROME APPEARANCE PACKAGE 2 chrome front tow hooks, Tires: P275/65R18 OWL A/S, Chrome Step Bars, 2-Bar Style Grille w/Chrome 2 Minor Bars, silver painted surround and black background mesh, Chrome Door & Tailgate Handles w/Body-Color Bezel, bezel on side doors and black on tailgate, Wheels: 18 Chrome-Like PVD, Single-Tip Chrome Exhaust Tax DMV Fees & $597 processing fee are not included in vehicle prices shown and must be paid by the purchaser. Vehicle information is based off standard equipment and may vary from vehicle to vehicle. Call or email for complete vehicle specific informatio Chevrolet Ford Chrysler Dodge Jeep & Ram prices include current factory rebates and incentives some of which may require financing through the manufacturer and/or the customer must own/trade a certain make of vehicle. Residency restrictions apply see dealer for details and restrictions. All pricing and details are believed to be accurate but we do not warrant or guarantee such accuracy. The prices shown above may vary from region to region as will incentives and are subject to change. XL trim, Velocity Blue Metallic exterior and Black interior. 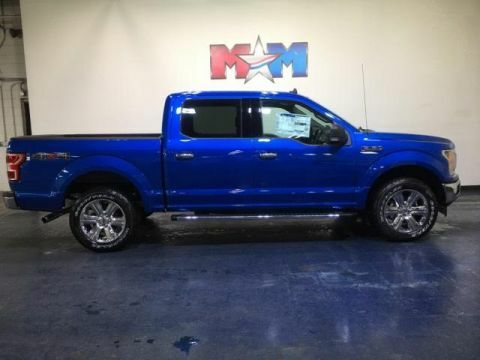 VELOCITY BLUE METALLIC, Tow Hitch, TOUGH BED SPRAY-IN BEDLINER, ENGINE: 3.5L V6 ECOBOOST, 4x4, Back-Up Camera, Bed Liner, Turbo, REAR WINDOW FIXED PRIVACY GLASS. AND MORE! KEY FEATURES INCLUDE 4x4, Back-Up Camera Child Safety Locks, Electronic Stability Control, Brake Assist, 4-Wheel ABS, 4-Wheel Disc Brakes. OPTION PACKAGES ENGINE: 3.5L V6 ECOBOOST auto start-stop technology, 3.31 Axle Ratio, GVWR: 7,000 lbs Payload Package, EQUIPMENT GROUP 101A MID SYNC, enhanced voice recognition communications and entertainment system, 911 assist, 4.2 LCD display in center stack, Applink and 1 smart charging USB port, 4.2 Productivity Screen in Instrument Cluster, compass, XL Power Equipment Group, Power Glass Sideview Mirrors w/Black Skull Caps, manual-folding, Power Door Locks, flip key and integrated key transmitter keyless-entry (includes Autolock), Illuminated Entry, Power Front & Rear Windows, Perimeter Alarm, Power Tailgate Lock, MyKey, Cruise Control, STX APPEARANCE PACKAGE Fog Lamps, Driver/Passenger Seat Back Pocket, SYNC 3, enhanced voice recognition communications and entertainment system, 8 LCD touchscreen in center stack w/swipe capability, AppLink, 911 Assist, Apple CarPlay and Android Auto and 2 smart charging USB ports, Box Side Decals, Rear Window Defroster, Wheels: 20 Machined-Aluminum, flash gray painted pockets, Manual Driver/Passenger Lumbar, Privacy Glass, Body-Color Surround w/Black Mesh Insert Grille, black mesh insert, Body-Color Front & Rear Bumpers, body-color front fascia, Tires: P275/55R20 BSW AT, 275/65R18 OWL all-season/all-terrain spare tire, TRAILER TOW PACKAGE Towing capability up to TBD, tailgate LED Tax DMV Fees & $597 processing fee are not included in vehicle prices shown and must be paid by the purchaser. Vehicle information is based off standard equipment and may vary from vehicle to vehicle. Call or email for complete vehicle specific informatio Chevrolet Ford Chrysler Dodge Jeep & Ram prices include current factory rebates and incentives some of which may require financing through the manufacturer and/or the customer must own/trade a certain make of vehicle. Residency restrictions apply see dealer for details and restrictions. All pricing and details are believed to be accurate but we do not warrant or guarantee such accuracy. The prices shown above may vary from region to region as will incentives and are subject to change. NAV, Heated Seats, Turbo, Tow Hitch, MAGNETIC METALLIC, 4x4, WiFi Hotspot, Smart Device Integration, Back-Up Camera, Onboard Communications System, TRAILER TOW PACKAGE. 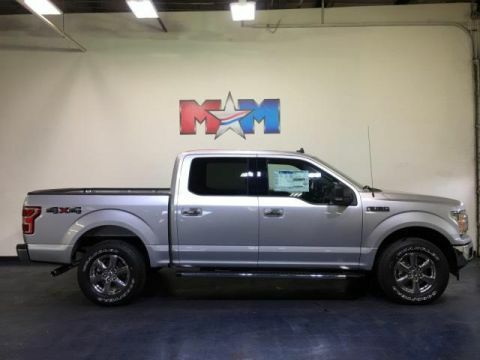 XLT trim, Magnetic Metallic exterior and Black interior. SEE MORE! KEY FEATURES INCLUDE 4x4, Back-Up Camera, Onboard Communications System, WiFi Hotspot, Smart Device Integration. Keyless Entry, Child Safety Locks, Steering Wheel Controls, Electronic Stability Control, Brake Assist. OPTION PACKAGES EQUIPMENT GROUP 302A LUXURY 4.2 Productivity Screen in Instrument Cluster, Rear Window Defroster, SiriusXM Radio, 7 speakers and 6-month prepaid subscription, Service is not available in Alaska and Hawaii, Subscriptions to all SiriusXM services are sold by SiriusXM after trial period, If you decide to continue service after your trial, the subscription plan you choose will automatically renew thereafter and you will be charged according to your chosen payment method at then-current rates, Fees and taxes apply, To cancel you must call SiriusXM at 1-866-635-2349, See SiriusXM Customer Agreement for complete terms at www.siriusxm.com, All fees and programming subject to change, Sirius, XM and all related marks and logos are trademarks of Sirius XM Radio Inc, XLT Chrome Appearance Package, 2, XLT CHROME APPEARANCE PACKAGE 2 chrome front tow hooks, Tires: P275/65R18 OWL A/S, Chrome Step Bars, 2-Bar Style Grille w/Chrome 2 Minor Bars, silver painted surround and black background mesh, Chrome Door & Tailgate Handles w/Body-Color Bezel, bezel on side doors and black on tailgate, Wheels: 18 Chrome-Like PVD, Single-Tip Chrome Exhaust, TRAILER TOW PACKAGE Towing capability up to TBD, tailgate LED, Class IV Trailer Hitch Receiver Tax DMV Fees & $597 processing fee are not included in vehicle prices shown and must be paid by the purchaser. Vehicle information is based off standard equipment and may vary from vehicle to vehicle. Call or email for complete vehicle specific informatio Chevrolet Ford Chrysler Dodge Jeep & Ram prices include current factory rebates and incentives some of which may require financing through the manufacturer and/or the customer must own/trade a certain make of vehicle. Residency restrictions apply see dealer for details and restrictions. All pricing and details are believed to be accurate but we do not warrant or guarantee such accuracy. The prices shown above may vary from region to region as will incentives and are subject to change. NAV, Heated Seats, Turbo, Tow Hitch, MAGNETIC METALLIC, 4x4, WiFi Hotspot, Smart Device Integration, Back-Up Camera, Onboard Communications System, TRAILER TOW PACKAGE. 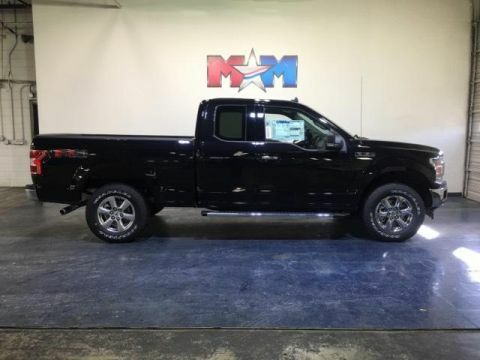 XLT trim, Magnetic Metallic exterior and Black interior. CLICK NOW! KEY FEATURES INCLUDE 4x4, Back-Up Camera, Onboard Communications System, WiFi Hotspot, Smart Device Integration Keyless Entry, Child Safety Locks, Steering Wheel Controls, Electronic Stability Control, Brake Assist. OPTION PACKAGES EQUIPMENT GROUP 302A LUXURY 4.2 Productivity Screen in Instrument Cluster, Rear Window Defroster, SiriusXM Radio, 7 speakers and 6-month prepaid subscription, Service is not available in Alaska and Hawaii, Subscriptions to all SiriusXM services are sold by SiriusXM after trial period, If you decide to continue service after your trial, the subscription plan you choose will automatically renew thereafter and you will be charged according to your chosen payment method at then-current rates, Fees and taxes apply, To cancel you must call SiriusXM at 1-866-635-2349, See SiriusXM Customer Agreement for complete terms at www.siriusxm.com, All fees and programming subject to change, Sirius, XM and all related marks and logos are trademarks of Sirius XM Radio Inc, XLT Chrome Appearance Package, 2, XLT CHROME APPEARANCE PACKAGE 2 chrome front tow hooks, Tires: P275/65R18 OWL A/S, Chrome Step Bars, 2-Bar Style Grille w/Chrome 2 Minor Bars, silver painted surround and black background mesh, Chrome Door & Tailgate Handles w/Body-Color Bezel, bezel on side doors and black on tailgate, Wheels: 18 Chrome-Like PVD, Single-Tip Chrome Exhaust, TRAILER TOW PACKAGE Towing capability up to TBD, tailgate LED, Class IV Trailer Hitch Receiver Tax DMV Fees & $597 processing fee are not included in vehicle prices shown and must be paid by the purchaser. Vehicle information is based off standard equipment and may vary from vehicle to vehicle. Call or email for complete vehicle specific informatio Chevrolet Ford Chrysler Dodge Jeep & Ram prices include current factory rebates and incentives some of which may require financing through the manufacturer and/or the customer must own/trade a certain make of vehicle. Residency restrictions apply see dealer for details and restrictions. All pricing and details are believed to be accurate but we do not warrant or guarantee such accuracy. The prices shown above may vary from region to region as will incentives and are subject to change. Heated Seats, Navigation, Turbo Charged, Trailer Hitch, AGATE BLACK METALLIC, 4x4, WiFi Hotspot, Smart Device Integration, Back-Up Camera, SIRIUSXM RADIO. 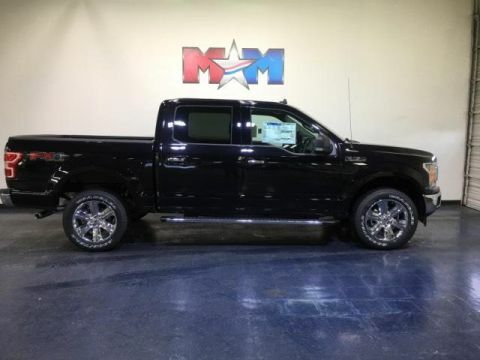 Agate Black Metallic exterior and Dark Earth Gray interior, XLT trim AND MORE! KEY FEATURES INCLUDE 4x4, Back-Up Camera, Onboard Communications System, WiFi Hotspot, Smart Device Integration. Keyless Entry, Child Safety Locks, Steering Wheel Controls, Electronic Stability Control, Brake Assist. OPTION PACKAGES EQUIPMENT GROUP 302A LUXURY 4.2 Productivity Screen in Instrument Cluster, Rear Window Defroster, SiriusXM Radio, 7 speakers and 6-month prepaid subscription, Service is not available in Alaska and Hawaii, Subscriptions to all SiriusXM services are sold by SiriusXM after trial period, If you decide to continue service after your trial, the subscription plan you choose will automatically renew thereafter and you will be charged according to your chosen payment method at then-current rates, Fees and taxes apply, To cancel you must call SiriusXM at 1-866-635-2349, See SiriusXM Customer Agreement for complete terms at www.siriusxm.com, All fees and programming subject to change, Sirius, XM and all related marks and logos are trademarks of Sirius XM Radio Inc, XLT Chrome Appearance Package, 2, XLT CHROME APPEARANCE PACKAGE 2 chrome front tow hooks, Tires: P275/65R18 OWL A/S, Chrome Step Bars, 2-Bar Style Grille w/Chrome 2 Minor Bars, silver painted surround and black background mesh, Chrome Door & Tailgate Handles w/Body-Color Bezel, bezel on side doors and black on tailgate, Wheels: 18 Chrome-Like PVD, Single-Tip Chrome Exhaust, TRAILER TOW PACKAGE Towing capability up to TBD, tailgate LED, Class IV Trailer Hitch Receiver Tax DMV Fees & $597 processing fee are not included in vehicle prices shown and must be paid by the purchaser. Vehicle information is based off standard equipment and may vary from vehicle to vehicle. Call or email for complete vehicle specific informatio Chevrolet Ford Chrysler Dodge Jeep & Ram prices include current factory rebates and incentives some of which may require financing through the manufacturer and/or the customer must own/trade a certain make of vehicle. Residency restrictions apply see dealer for details and restrictions. All pricing and details are believed to be accurate but we do not warrant or guarantee such accuracy. The prices shown above may vary from region to region as will incentives and are subject to change. 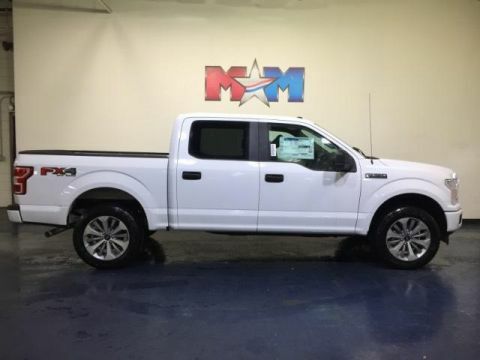 Heated Seats, NAV, 110V/400W OUTLET, ENGINE: 5.0L V8, XLT CHROME APPEARANCE PACKAGE, OXFORD WHITE, Back-Up Camera, 4x4, Tow Hitch, LED BOX LIGHTING, SYNC 3. Oxford White exterior and Medium Earth Gray interior, XLT trim. AND MORE! KEY FEATURES INCLUDE 4x4, Back-Up Camera. Keyless Entry, Child Safety Locks, Electronic Stability Control, Brake Assist, 4-Wheel ABS. 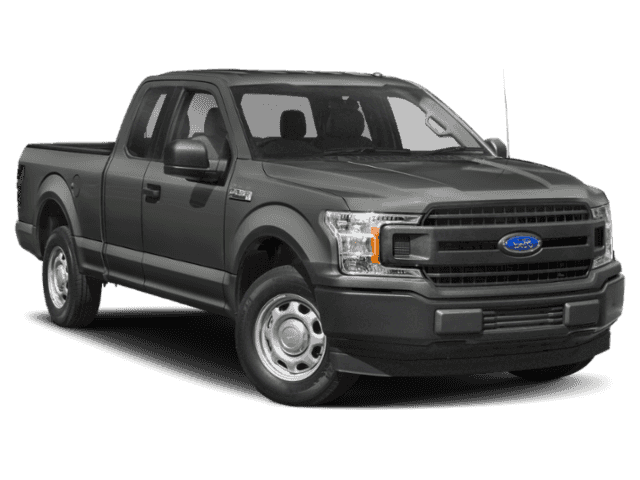 OPTION PACKAGES EQUIPMENT GROUP 302A LUXURY 4.2 Productivity Screen in Instrument Cluster, Reverse Sensing System, Class IV Trailer Hitch Receiver, towing capability up to 5,000 lbs, on 3.3L V6 PFDI engine (99B) and 2.7L EcoBoost engine (99P) or up to 7,000 lbs, on 3.5L EcoBoost engine (99G) and 5.0L V8 engine (995), smart trailer tow connector and 4-pin/7-pin wiring harness, Rear Window Defroster, XLT Chrome Appearance Package, 2 chrome front tow hooks, Tires: P275/65R18 OWL A/S, Chrome Step Bars, 2-Bar Style Grille w/Chrome 2 Minor Bars, silver painted surround and black background mesh, Chrome Door & Tailgate Handles w/Body-Color Bezel, bezel on side doors and black on tailgate, Wheels: 18 Chrome-Like PVD, Single-Tip Chrome Exhaust, Rear Under-Seat Storage, SYNC 3, enhanced voice recognition, ENGINE: 5.0L V8 auto start-stop technology and flex-fuel capability, 3.31 Axle Ratio, GVWR: 7,000 lbs Payload Package, XLT CHROME APPEARANCE PACKAGE 2 chrome front tow hooks, Tires: P275/65R18 OWL A/S, Chrome Step Bars, 2-Bar Style Grille w/Chrome 2 Minor Bars, silver painted surround and black background mesh, Chrome Door & Tailgate Handles w/Body-Color Bezel, bezel on side doors and black on tailgate, Wheels: 18 Chrome-Like PVD, Single-Tip Chrome Exhaust, TRAILER TOW PACKAGE Towing capability up to 11,100 lbs, Class IV Trailer Hitch Receiver Tax DMV Fees & $597 processing fee are not included in vehicle prices shown and must be paid by the purchaser. Vehicle information is based off standard equipment and may vary from vehicle to vehicle. Call or email for complete vehicle specific informatio Chevrolet Ford Chrysler Dodge Jeep & Ram prices include current factory rebates and incentives some of which may require financing through the manufacturer and/or the customer must own/trade a certain make of vehicle. Residency restrictions apply see dealer for details and restrictions. All pricing and details are believed to be accurate but we do not warrant or guarantee such accuracy. The prices shown above may vary from region to region as will incentives and are subject to change. 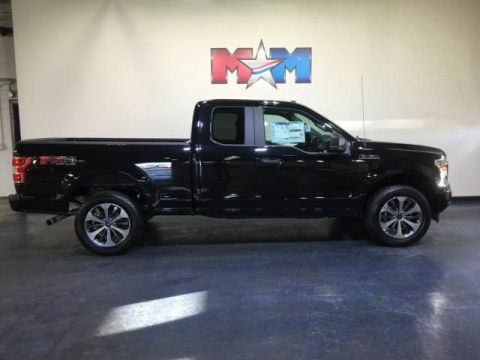 Price includes all applicable rebates, must finance with Ford Motor Credit, see a Motor Mile Ford salesperson for details. Other rebates may be available, see a Motor Mile Ford salesperson for details. Price does not include tax, DMV fees or $597 processing fee. 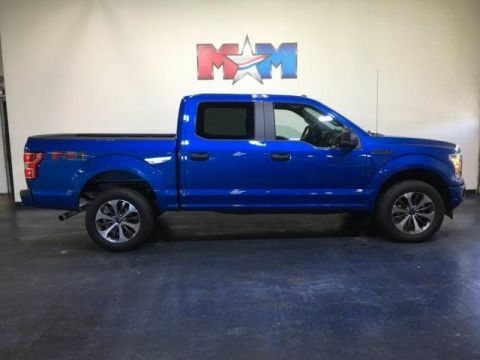 Heated Seats, Navigation, Turbo Charged, Trailer Hitch, ENGINE: 2.7L V6 ECOBOOST, BLUE JEANS METALLIC, WiFi Hotspot, Smart Device Integration, 4x4, BOXLINK. Blue Jeans Metallic exterior and Dark Earth Gray interior, XLT trim. AND MORE! KEY FEATURES INCLUDE 4x4, Back-Up Camera, Onboard Communications System, WiFi Hotspot, Smart Device Integration. Keyless Entry, Child Safety Locks, Steering Wheel Controls, Electronic Stability Control, Brake Assist. OPTION PACKAGES EQUIPMENT GROUP 302A LUXURY 4.2 Productivity Screen in Instrument Cluster, Rear Window Defroster, SiriusXM Radio, 7 speakers and 6-month prepaid subscription, Service is not available in Alaska and Hawaii, Subscriptions to all SiriusXM services are sold by SiriusXM after trial period, If you decide to continue service after your trial, the subscription plan you choose will automatically renew thereafter and you will be charged according to your chosen payment method at then-current rates, Fees and taxes apply, To cancel you must call SiriusXM at 1-866-635-2349, See SiriusXM Customer Agreement for complete terms at www.siriusxm.com, All fees and programming subject to change, Sirius, XM and all related marks and logos are trademarks of Sirius XM Radio Inc, XLT Chrome Appearance Package, 2, XLT CHROME APPEARANCE PACKAGE 2 chrome front tow hooks, Tires: P275/65R18 OWL A/S, Chrome Step Bars, 2-Bar Style Grille w/Chrome 2 Minor Bars, silver painted surround and black background mesh, Chrome Door & Tailgate Handles w/Body-Color Bezel, bezel on side doors and black on tailgate, Wheels: 18 Chrome-Like PVD, Single-Tip Chrome Exhaust, TRAILER TOW PACKAGE Towing capability up to TBD, tailgate LED, Class IV Trailer Hitch Receiver Tax DMV Fees & $597 processing fee are not included in vehicle prices shown and must be paid by the purchaser. Vehicle information is based off standard equipment and may vary from vehicle to vehicle. Call or email for complete vehicle specific informatio Chevrolet Ford Chrysler Dodge Jeep & Ram prices include current factory rebates and incentives some of which may require financing through the manufacturer and/or the customer must own/trade a certain make of vehicle. Residency restrictions apply see dealer for details and restrictions. All pricing and details are believed to be accurate but we do not warrant or guarantee such accuracy. The prices shown above may vary from region to region as will incentives and are subject to change. 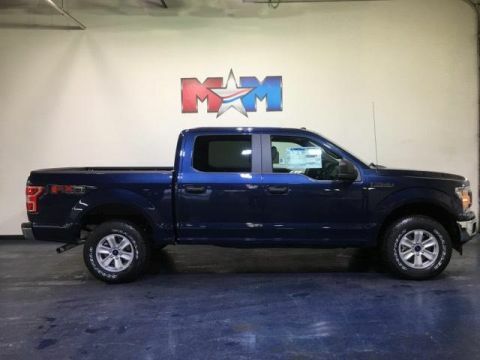 NAV, Heated Seats, VELOCITY BLUE METALLIC, TOUGH BED SPRAY-IN BEDLINER, 110V/400W OUTLET, ENGINE: 2.7L V6 ECOBOOST, 4x4, Back-Up Camera, Turbo, Tow Hitch. 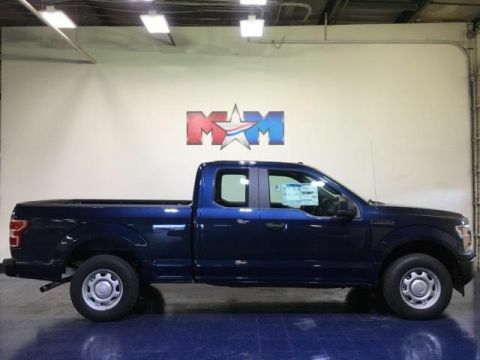 Velocity Blue Metallic exterior and Black interior, XLT trim. READ MORE! KEY FEATURES INCLUDE 4x4, Back-Up Camera, Onboard Communications System, WiFi Hotspot, Smart Device Integration Keyless Entry, Child Safety Locks, Steering Wheel Controls, Electronic Stability Control, Brake Assist. OPTION PACKAGES EQUIPMENT GROUP 302A LUXURY 4.2 Productivity Screen in Instrument Cluster, Rear Window Defroster, SiriusXM Radio, 7 speakers and 6-month prepaid subscription, Service is not available in Alaska and Hawaii, Subscriptions to all SiriusXM services are sold by SiriusXM after trial period, If you decide to continue service after your trial, the subscription plan you choose will automatically renew thereafter and you will be charged according to your chosen payment method at then-current rates, Fees and taxes apply, To cancel you must call SiriusXM at 1-866-635-2349, See SiriusXM Customer Agreement for complete terms at www.siriusxm.com, All fees and programming subject to change, Sirius, XM and all related marks and logos are trademarks of Sirius XM Radio Inc, XLT Chrome Appearance Package, 2, XLT CHROME APPEARANCE PACKAGE 2 chrome front tow hooks, Tires: P275/65R18 OWL A/S, Chrome Step Bars, 2-Bar Style Grille w/Chrome 2 Minor Bars, silver painted surround and black background mesh, Chrome Door & Tailgate Handles w/Body-Color Bezel, bezel on side doors and black on tailgate, Wheels: 18 Chrome-Like PVD, Single-Tip Chrome Exhaust, WHEELS: 20 CHROME-LIKE PVD, ENGINE: 2.7L V6 ECOBOOST auto start-stop technology, 3.55 Axle Ratio, GVWR: 6,600 lbs Payload Package Tax DMV Fees & $597 processing fee are not included in vehicle prices shown and must be paid by the purchaser. Vehicle information is based off standard equipment and may vary from vehicle to vehicle. Call or email for complete vehicle specific informatio Chevrolet Ford Chrysler Dodge Jeep & Ram prices include current factory rebates and incentives some of which may require financing through the manufacturer and/or the customer must own/trade a certain make of vehicle. Residency restrictions apply see dealer for details and restrictions. All pricing and details are believed to be accurate but we do not warrant or guarantee such accuracy. The prices shown above may vary from region to region as will incentives and are subject to change. 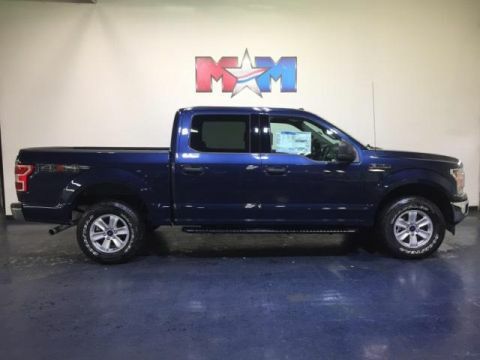 Heated Seats, NAV, BLUE JEANS METALLIC, 110V/400W OUTLET, TOUGH BED SPRAY-IN BEDLINER, ENGINE: 2.7L V6 ECOBOOST, 4x4, Back-Up Camera, Turbo, Tow Hitch. 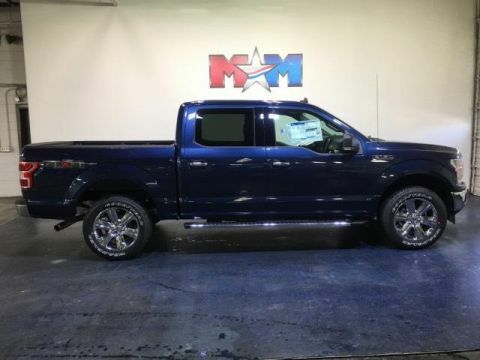 XLT trim, Blue Jeans Metallic exterior and Dark Earth Gray interior. READ MORE! KEY FEATURES INCLUDE 4x4, Back-Up Camera, Onboard Communications System, WiFi Hotspot, Smart Device Integration Keyless Entry, Child Safety Locks, Steering Wheel Controls, Electronic Stability Control, Brake Assist. OPTION PACKAGES EQUIPMENT GROUP 302A LUXURY 4.2 Productivity Screen in Instrument Cluster, Rear Window Defroster, SiriusXM Radio, 7 speakers and 6-month prepaid subscription, Service is not available in Alaska and Hawaii, Subscriptions to all SiriusXM services are sold by SiriusXM after trial period, If you decide to continue service after your trial, the subscription plan you choose will automatically renew thereafter and you will be charged according to your chosen payment method at then-current rates, Fees and taxes apply, To cancel you must call SiriusXM at 1-866-635-2349, See SiriusXM Customer Agreement for complete terms at www.siriusxm.com, All fees and programming subject to change, Sirius, XM and all related marks and logos are trademarks of Sirius XM Radio Inc, XLT Chrome Appearance Package, 2, XLT CHROME APPEARANCE PACKAGE 2 chrome front tow hooks, Tires: P275/65R18 OWL A/S, Chrome Step Bars, 2-Bar Style Grille w/Chrome 2 Minor Bars, silver painted surround and black background mesh, Chrome Door & Tailgate Handles w/Body-Color Bezel, bezel on side doors and black on tailgate, Wheels: 18 Chrome-Like PVD, Single-Tip Chrome Exhaust, WHEELS: 20 CHROME-LIKE PVD, ENGINE: 2.7L V6 ECOBOOST auto start-stop technology, 3.55 Axle Ratio, GVWR: 6,600 lbs Payload Package Tax DMV Fees & $597 processing fee are not included in vehicle prices shown and must be paid by the purchaser. Vehicle information is based off standard equipment and may vary from vehicle to vehicle. Call or email for complete vehicle specific informatio Chevrolet Ford Chrysler Dodge Jeep & Ram prices include current factory rebates and incentives some of which may require financing through the manufacturer and/or the customer must own/trade a certain make of vehicle. Residency restrictions apply see dealer for details and restrictions. All pricing and details are believed to be accurate but we do not warrant or guarantee such accuracy. The prices shown above may vary from region to region as will incentives and are subject to change. XL trim, Ingot Silver Metallic exterior and Dark Earth Gray interior. 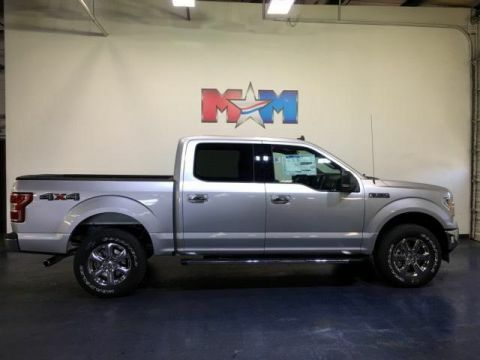 Hitch, ELECTRONIC LOCKING W/3.73 AXLE RATIO, INGOT SILVER METALLIC, Back-Up Camera, 4x4, Turbo Charged Engine, ENGINE: 2.7L V6 ECOBOOST, TRAILER TOW PACKAGE SEE MORE! KEY FEATURES INCLUDE 4x4, Back-Up Camera. Electronic Stability Control, Brake Assist, 4-Wheel ABS, 4-Wheel Disc Brakes, Tire Pressure Monitoring System. OPTION PACKAGES EQUIPMENT GROUP 101A MID SYNC, enhanced voice recognition communications and entertainment system, 911 assist, 4.2 LCD display in center stack, Applink and 1 smart charging USB port, 4.2 Productivity Screen in Instrument Cluster, compass, XL Power Equipment Group, Power Glass Sideview Mirrors w/Black Skull Caps, manual-folding, Power Door Locks, flip key and integrated key transmitter keyless-entry (includes Autolock), Illuminated Entry, Power Front & Rear Windows, Perimeter Alarm, Power Tailgate Lock, MyKey, Cruise Control, TRAILER TOW PACKAGE Towing capability up to TBD, tailgate LED, Class IV Trailer Hitch Receiver, towing capability up to TBD on 3.3L V6 PFDI engine (99B) and 2.7L EcoBoost engine (99P) or up to TBD on 3.5L EcoBoost engine (994), 3.5L EcoBoost High Output engine (99G) and 5.0L V8 engine (995), smart trailer tow connector and 4-pin/7-pin wiring harness, Upgraded Front Stabilizer Bar, ENGINE: 2.7L V6 ECOBOOST auto start-stop technology, 3.55 Axle Ratio, FX4 OFF-ROAD PACKAGE Hill Descent Control, Off-Road Tuned Front Shock Absorbers, Skid Plates, fuel tank, transfer case and front differential, 4x4 FX4 Off-Road Bodyside Decal, XL CHROME APPEARANCE PACKAGE Fog Lamps (Fleet), Wheels: 17 Silver Painted Aluminum, Front & Rear Chrome Bumpers, body-color front fascia, REAR WINDOW DEFROSTER Tax DMV Fees & $597 processing fee are not included in vehicle prices shown and must be paid by the purchaser. Vehicle information is based off standard equipment and may vary from vehicle to vehicle. Call or email for complete vehicle specific informatio Chevrolet Ford Chrysler Dodge Jeep & Ram prices include current factory rebates and incentives some of which may require financing through the manufacturer and/or the customer must own/trade a certain make of vehicle. Residency restrictions apply see dealer for details and restrictions. All pricing and details are believed to be accurate but we do not warrant or guarantee such accuracy. The prices shown above may vary from region to region as will incentives and are subject to change. Heated Seats, Nav System, AGATE BLACK METALLIC, XLT CHROME APPEARANCE PACKAGE, 110V/400W OUTLET, ENGINE: 5.0L V8, Hitch, Smart Device Integration. 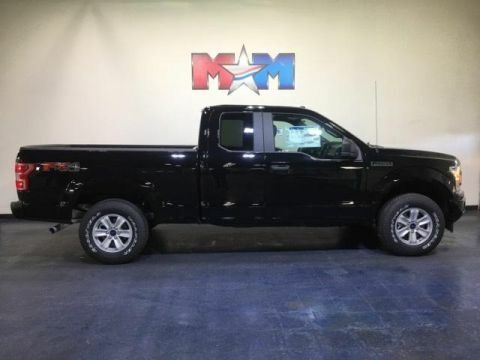 XLT trim, Agate Black Metallic exterior and Dark Earth Gray interior AND MORE! KEY FEATURES INCLUDE 4x4, Back-Up Camera, Onboard Communications System, Smart Device Integration, WiFi Hotspot. Keyless Entry, Steering Wheel Controls, Child Safety Locks, Electronic Stability Control, Brake Assist. OPTION PACKAGES EQUIPMENT GROUP 302A LUXURY 4.2 Productivity Screen in Instrument Cluster, Rear Window Defroster, SiriusXM Radio, 7 speakers and 6-month prepaid subscription, Service is not available in Alaska and Hawaii, Subscriptions to all SiriusXM services are sold by SiriusXM after trial period, If you decide to continue service after your trial, the subscription plan you choose will automatically renew thereafter and you will be charged according to your chosen payment method at then-current rates, Fees and taxes apply, To cancel you must call SiriusXM at 1-866-635-2349, See SiriusXM Customer Agreement for complete terms at www.siriusxm.com, All fees and programming subject to change, Sirius, XM and all related marks and logos are trademarks of Sirius XM Radio Inc, XLT Chrome Appearance Package, 2, ENGINE: 5.0L V8 auto start-stop technology and flex-fuel capability, 3.31 Axle Ratio, GVWR: 7,000 lbs Payload Package, XLT CHROME APPEARANCE PACKAGE 2 chrome front tow hooks, Tires: P275/65R18 OWL A/S, Chrome Step Bars, 2-Bar Style Grille w/Chrome 2 Minor Bars, silver painted surround and black background mesh, Chrome Door & Tailgate Handles w/Body-Color Bezel, bezel on side doors and black on tailgate, Wheels: 18 Chrome-Like PVD, Single-Tip Chrome Exhaust Tax DMV Fees & $597 processing fee are not included in vehicle prices shown and must be paid by the purchaser. Vehicle information is based off standard equipment and may vary from vehicle to vehicle. Call or email for complete vehicle specific informatio Chevrolet Ford Chrysler Dodge Jeep & Ram prices include current factory rebates and incentives some of which may require financing through the manufacturer and/or the customer must own/trade a certain make of vehicle. Residency restrictions apply see dealer for details and restrictions. All pricing and details are believed to be accurate but we do not warrant or guarantee such accuracy. The prices shown above may vary from region to region as will incentives and are subject to change. Magnetic Metallic exterior and Black interior, XL trim. 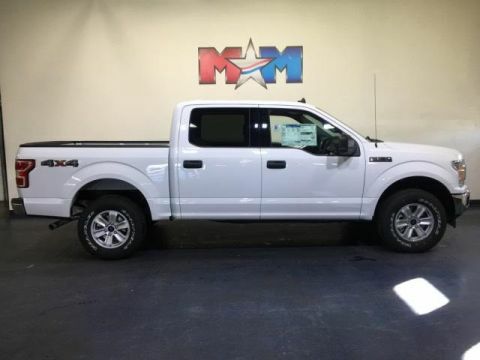 Hitch, MAGNETIC METALLIC, Turbo Charged Engine, Back-Up Camera, 4x4, ENGINE: 2.7L V6 ECOBOOST, TRANSMISSION: ELECTRONIC 10-SPEED AUT... CLASS IV TRAILER HITCH RECEIVER AND MORE! KEY FEATURES INCLUDE 4x4, Back-Up Camera. Child Safety Locks, Electronic Stability Control, Brake Assist, 4-Wheel ABS, 4-Wheel Disc Brakes. OPTION PACKAGES EQUIPMENT GROUP 101A MID SYNC, enhanced voice recognition communications and entertainment system, 911 assist, 4.2 LCD display in center stack, Applink and 1 smart charging USB port, 4.2 Productivity Screen in Instrument Cluster, compass, XL Power Equipment Group, Power Glass Sideview Mirrors w/Black Skull Caps, manual-folding, Power Door Locks, flip key and integrated key transmitter keyless-entry (includes Autolock), Illuminated Entry, Power Front & Rear Windows, Perimeter Alarm, Power Tailgate Lock, MyKey, Cruise Control, ENGINE: 2.7L V6 ECOBOOST auto start-stop technology, 3.55 Axle Ratio, GVWR: 6,600 lbs Payload Package, XL CHROME APPEARANCE PACKAGE Fog Lamps (Fleet), Wheels: 17 Silver Painted Aluminum, Front & Rear Chrome Bumpers, body-color front fascia, REAR WINDOW DEFROSTER, SIRIUSXM RADIO a 6-month prepaid subscription, Service is not available in Alaska and Hawaii, Subscriptions to all SiriusXM services are sold by SiriusXM after trial period, If you decide to continue service after your trial, the subscription plan you choose will automatically renew thereafter and you will be charged according to your chosen payment method at then-current rates, Fees and taxes apply, To cancel you must call SiriusXM at 1-866-635-2349, See SiriusXM Customer Agreement for complete terms at www.siriusxm.com Tax DMV Fees & $597 processing fee are not included in vehicle prices shown and must be paid by the purchaser. Vehicle information is based off standard equipment and may vary from vehicle to vehicle. Call or email for complete vehicle specific informatio Chevrolet Ford Chrysler Dodge Jeep & Ram prices include current factory rebates and incentives some of which may require financing through the manufacturer and/or the customer must own/trade a certain make of vehicle. Residency restrictions apply see dealer for details and restrictions. All pricing and details are believed to be accurate but we do not warrant or guarantee such accuracy. The prices shown above may vary from region to region as will incentives and are subject to change. XL trim, Blue Jeans Metallic exterior and Dark Earth Gray interior. 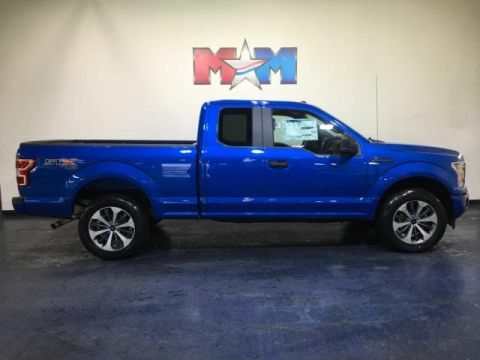 Tow Hitch, BLUE JEANS METALLIC, ENGINE: 2.7L V6 ECOBOOST, Back-Up Camera, 4x4, Turbo, CLASS IV TRAILER HITCH RECEIVER, FX4 OFF-ROAD PACKAGE, SKID PLATES. CLICK ME! KEY FEATURES INCLUDE 4x4, Back-Up Camera Child Safety Locks, Electronic Stability Control, Brake Assist, 4-Wheel ABS, 4-Wheel Disc Brakes. OPTION PACKAGES EQUIPMENT GROUP 101A MID SYNC, enhanced voice recognition communications and entertainment system, 911 assist, 4.2 LCD display in center stack, Applink and 1 smart charging USB port, 4.2 Productivity Screen in Instrument Cluster, compass, XL Power Equipment Group, Power Glass Sideview Mirrors w/Black Skull Caps, manual-folding, Power Door Locks, flip key and integrated key transmitter keyless-entry (includes Autolock), Illuminated Entry, Power Front & Rear Windows, Perimeter Alarm, Power Tailgate Lock, MyKey, Cruise Control, ENGINE: 2.7L V6 ECOBOOST auto start-stop technology, 3.55 Axle Ratio, GVWR: 6,600 lbs Payload Package, FX4 OFF-ROAD PACKAGE Hill Descent Control, Off-Road Tuned Front Shock Absorbers, Skid Plates, fuel tank, transfer case and front differential, 4x4 FX4 Off-Road Bodyside Decal, XL CHROME APPEARANCE PACKAGE Fog Lamps (Fleet), Wheels: 17 Silver Painted Aluminum, Front & Rear Chrome Bumpers, body-color front fascia, REAR WINDOW DEFROSTER, SIRIUSXM RADIO a 6-month prepaid subscription, Service is not available in Alaska and Hawaii, Subscriptions to all SiriusXM services are sold by SiriusXM after trial period, If you decide to continue service after your trial Ford XL with Blue Jeans Metallic exterior and Dark Earth Gray interior features a V6 Cylinder Engine with 290 HP at 6500 RPM*. Tax DMV Fees & $597 processing fee are not included in vehicle prices shown and must be paid by the purchaser. Vehicle information is based off standard equipment and may vary from vehicle to vehicle. Call or email for complete vehicle specific informatio Chevrolet Ford Chrysler Dodge Jeep & Ram prices include current factory rebates and incentives some of which may require financing through the manufacturer and/or the customer must own/trade a certain make of vehicle. Residency restrictions apply see dealer for details and restrictions. All pricing and details are believed to be accurate but we do not warrant or guarantee such accuracy. The prices shown above may vary from region to region as will incentives and are subject to change. 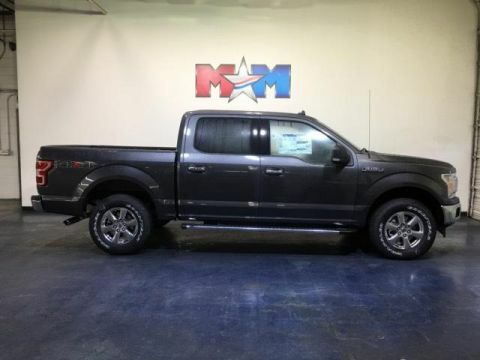 Trailer Hitch, AGATE BLACK METALLIC, ENGINE: 2.7L V6 ECOBOOST, Back-Up Camera, 4x4, Turbo Charged, TRAILER TOW PACKAGE, FX4 OFF-ROAD PACKAGE, SKID PLATES. Agate Black Metallic exterior and Dark Earth Gray interior, XL trim CLICK NOW! KEY FEATURES INCLUDE 4x4, Back-Up Camera. Child Safety Locks, Electronic Stability Control, Brake Assist, 4-Wheel ABS, 4-Wheel Disc Brakes. OPTION PACKAGES EQUIPMENT GROUP 101A MID SYNC, enhanced voice recognition communications and entertainment system, 911 assist, 4.2 LCD display in center stack, Applink and 1 smart charging USB port, 4.2 Productivity Screen in Instrument Cluster, compass, XL Power Equipment Group, Power Glass Sideview Mirrors w/Black Skull Caps, manual-folding, Power Door Locks, flip key and integrated key transmitter keyless-entry (includes Autolock), Illuminated Entry, Power Front & Rear Windows, Perimeter Alarm, Power Tailgate Lock, MyKey, Cruise Control, TRAILER TOW PACKAGE Towing capability up to TBD, tailgate LED, Class IV Trailer Hitch Receiver, towing capability up to TBD on 3.3L V6 PFDI engine (99B) and 2.7L EcoBoost engine (99P) or up to TBD on 3.5L EcoBoost engine (994), 3.5L EcoBoost High Output engine (99G) and 5.0L V8 engine (995), smart trailer tow connector and 4-pin/7-pin wiring harness, Upgraded Front Stabilizer Bar, ENGINE: 2.7L V6 ECOBOOST auto start-stop technology, 3.55 Axle Ratio, GVWR: 6,600 lbs Payload Package, FX4 OFF-ROAD PACKAGE Hill Descent Control, Off-Road Tuned Front Shock Absorbers, Skid Plates, fuel tank, transfer case and front differential, 4x4 FX4 Off-Road Bodyside Decal, XL CHROME APPEARANCE PACKAGE Fog Lamps (Fleet), Wheels: 17 Silver Painted Aluminum, Front & Rear Chrome Bumpers, body-color front fascia Tax DMV Fees & $597 processing fee are not included in vehicle prices shown and must be paid by the purchaser. Vehicle information is based off standard equipment and may vary from vehicle to vehicle. Call or email for complete vehicle specific informatio Chevrolet Ford Chrysler Dodge Jeep & Ram prices include current factory rebates and incentives some of which may require financing through the manufacturer and/or the customer must own/trade a certain make of vehicle. Residency restrictions apply see dealer for details and restrictions. All pricing and details are believed to be accurate but we do not warrant or guarantee such accuracy. The prices shown above may vary from region to region as will incentives and are subject to change. Ingot Silver Metallic exterior and Dark Earth Gray interior, XL trim. 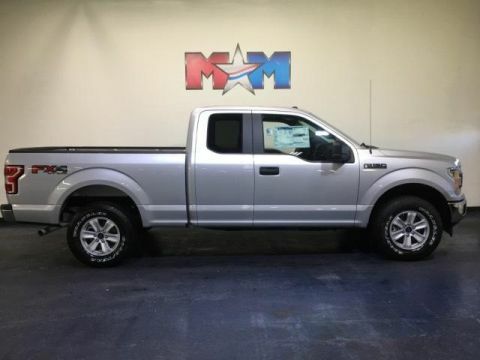 Trailer Hitch, INGOT SILVER METALLIC, ENGINE: 2.7L V6 ECOBOOST, Back-Up Camera, 4x4, Turbo Charged, REAR WINDOW FIXED PRIVACY GLASS, TRAILER TOW PACKAGE SEE MORE! KEY FEATURES INCLUDE 4x4, Back-Up Camera Child Safety Locks, Electronic Stability Control, Brake Assist, 4-Wheel ABS, 4-Wheel Disc Brakes. OPTION PACKAGES EQUIPMENT GROUP 101A MID SYNC, enhanced voice recognition communications and entertainment system, 911 assist, 4.2 LCD display in center stack, Applink and 1 smart charging USB port, 4.2 Productivity Screen in Instrument Cluster, compass, XL Power Equipment Group, Power Glass Sideview Mirrors w/Black Skull Caps, manual-folding, Power Door Locks, flip key and integrated key transmitter keyless-entry (includes Autolock), Illuminated Entry, Power Front & Rear Windows, Perimeter Alarm, Power Tailgate Lock, MyKey, Cruise Control, STX APPEARANCE PACKAGE Fog Lamps, Driver/Passenger Seat Back Pocket, SYNC 3, enhanced voice recognition communications and entertainment system, 8 LCD touchscreen in center stack w/swipe capability, AppLink, 911 Assist, Apple CarPlay and Android Auto and 2 smart charging USB ports, Box Side Decals, Rear Window Defroster, Wheels: 20 Machined-Aluminum, flash gray painted pockets, Manual Driver/Passenger Lumbar, Privacy Glass, Body-Color Surround w/Black Mesh Insert Grille, black mesh insert, Body-Color Front & Rear Bumpers, body-color front fascia, Tires: P275/55R20 BSW AT, 275/65R18 OWL all-season/all-terrain spare tire, ENGINE: 2.7L V6 ECOBOOST auto start-stop technology, 3.55 Axle Ratio, GVWR: 6,600 lbs Payload Package, TRAILER TOW PACKAGE Towing capability up to TBD, tailgate LED Tax DMV Fees & $597 processing fee are not included in vehicle prices shown and must be paid by the purchaser. Vehicle information is based off standard equipment and may vary from vehicle to vehicle. Call or email for complete vehicle specific informatio Chevrolet Ford Chrysler Dodge Jeep & Ram prices include current factory rebates and incentives some of which may require financing through the manufacturer and/or the customer must own/trade a certain make of vehicle. Residency restrictions apply see dealer for details and restrictions. All pricing and details are believed to be accurate but we do not warrant or guarantee such accuracy. The prices shown above may vary from region to region as will incentives and are subject to change. XL trim, Magnetic Metallic exterior and Black interior. 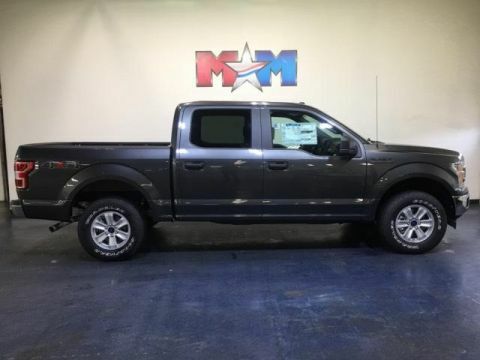 MAGNETIC METALLIC, ENGINE: 5.0L V8, REAR WINDOW FIXED PRIVACY GLASS, Back-Up Camera, 4x4, Tow Hitch, XL SPORT APPEARANCE PACKAGE, TRANSMISSION: ELECTRONIC 10-SPEED AUT... CLICK NOW! KEY FEATURES INCLUDE 4x4, Back-Up Camera. Child Safety Locks, Electronic Stability Control, Brake Assist, 4-Wheel ABS, Tire Pressure Monitoring System. OPTION PACKAGES EQUIPMENT GROUP 101A MID SYNC, enhanced voice recognition communications and entertainment system, 911 assist, 4.2 LCD display in center stack, Applink and 1 smart charging USB port, 4.2 Productivity Screen in Instrument Cluster, compass, XL Power Equipment Group, Power Glass Sideview Mirrors w/Black Skull Caps, manual-folding, Power Door Locks, flip key and integrated key transmitter keyless-entry (includes Autolock), Illuminated Entry, Power Front & Rear Windows, Perimeter Alarm, Power Tailgate Lock, MyKey, Cruise Control, STX APPEARANCE PACKAGE Fog Lamps, Driver/Passenger Seat Back Pocket, SYNC 3, enhanced voice recognition communications and entertainment system, 8 LCD touchscreen in center stack w/swipe capability, AppLink, 911 Assist, Apple CarPlay and Android Auto and 2 smart charging USB ports, Box Side Decals, Rear Window Defroster, Wheels: 20 Machined-Aluminum, flash gray painted pockets, Manual Driver/Passenger Lumbar, Privacy Glass, Body-Color Surround w/Black Mesh Insert Grille, black mesh insert, Body-Color Front & Rear Bumpers, body-color front fascia, Tires: P275/55R20 BSW AT, 275/65R18 OWL all-season/all-terrain spare tire, ENGINE: 5.0L V8 auto start-stop technology and flex-fuel capability, 3.31 Axle Ratio, GVWR: 7,000 lbs Payload Package, TRAILER TOW PACKAGE Towing capability up to TBD Tax DMV Fees & $597 processing fee are not included in vehicle prices shown and must be paid by the purchaser. Vehicle information is based off standard equipment and may vary from vehicle to vehicle. Call or email for complete vehicle specific informatio Chevrolet Ford Chrysler Dodge Jeep & Ram prices include current factory rebates and incentives some of which may require financing through the manufacturer and/or the customer must own/trade a certain make of vehicle. Residency restrictions apply see dealer for details and restrictions. All pricing and details are believed to be accurate but we do not warrant or guarantee such accuracy. The prices shown above may vary from region to region as will incentives and are subject to change. Heated Seats, Navigation, Turbo Charged, Trailer Hitch, INGOT SILVER METALLIC, 4x4, WiFi Hotspot, Smart Device Integration, Back-Up Camera, SIRIUSXM RADIO. Ingot Silver Metallic exterior and Dark Earth Gray interior, XLT trim CLICK NOW! KEY FEATURES INCLUDE 4x4, Back-Up Camera, Onboard Communications System, WiFi Hotspot, Smart Device Integration Keyless Entry, Child Safety Locks, Steering Wheel Controls, Electronic Stability Control, Brake Assist. OPTION PACKAGES EQUIPMENT GROUP 302A LUXURY 4.2 Productivity Screen in Instrument Cluster, Rear Window Defroster, SiriusXM Radio, 7 speakers and 6-month prepaid subscription, Service is not available in Alaska and Hawaii, Subscriptions to all SiriusXM services are sold by SiriusXM after trial period, If you decide to continue service after your trial, the subscription plan you choose will automatically renew thereafter and you will be charged according to your chosen payment method at then-current rates, Fees and taxes apply, To cancel you must call SiriusXM at 1-866-635-2349, See SiriusXM Customer Agreement for complete terms at www.siriusxm.com, All fees and programming subject to change, Sirius, XM and all related marks and logos are trademarks of Sirius XM Radio Inc, XLT Chrome Appearance Package, 2, XLT CHROME APPEARANCE PACKAGE 2 chrome front tow hooks, Tires: P275/65R18 OWL A/S, Chrome Step Bars, 2-Bar Style Grille w/Chrome 2 Minor Bars, silver painted surround and black background mesh, Chrome Door & Tailgate Handles w/Body-Color Bezel, bezel on side doors and black on tailgate, Wheels: 18 Chrome-Like PVD, Single-Tip Chrome Exhaust, ENGINE: 2.7L V6 ECOBOOST auto start-stop technology, 3.55 Axle Ratio, GVWR: 6,600 lbs Payload Package Tax DMV Fees & $597 processing fee are not included in vehicle prices shown and must be paid by the purchaser. Vehicle information is based off standard equipment and may vary from vehicle to vehicle. Call or email for complete vehicle specific informatio Chevrolet Ford Chrysler Dodge Jeep & Ram prices include current factory rebates and incentives some of which may require financing through the manufacturer and/or the customer must own/trade a certain make of vehicle. Residency restrictions apply see dealer for details and restrictions. All pricing and details are believed to be accurate but we do not warrant or guarantee such accuracy. The prices shown above may vary from region to region as will incentives and are subject to change. 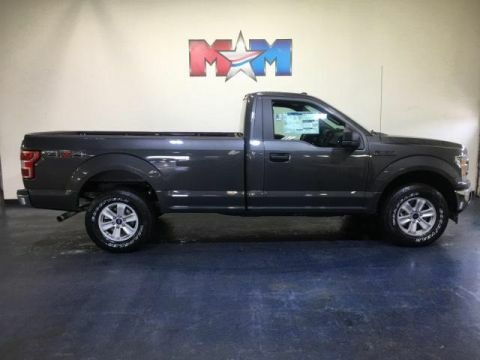 Heated Seats, Navigation, Trailer Hitch, ENGINE: 2.7L V6 ECOBOOST, INGOT SILVER METALLIC, Bed Liner, Back-Up Camera, Onboard Communications System. 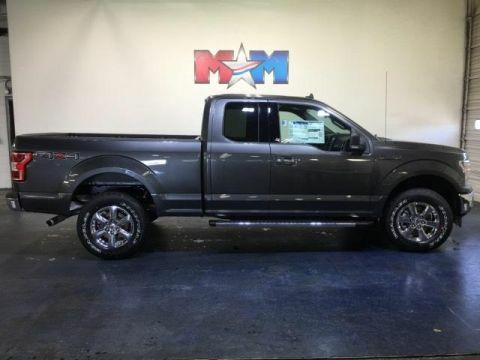 XLT trim, Ingot Silver Metallic exterior and Dark Earth Gray interior SEE MORE! KEY FEATURES INCLUDE 4x4, Back-Up Camera, Onboard Communications System, WiFi Hotspot, Smart Device Integration Keyless Entry, Child Safety Locks, Steering Wheel Controls, Electronic Stability Control, Brake Assist. OPTION PACKAGES EQUIPMENT GROUP 302A LUXURY 4.2 Productivity Screen in Instrument Cluster, Rear Window Defroster, SiriusXM Radio, 7 speakers and 6-month prepaid subscription, Service is not available in Alaska and Hawaii, Subscriptions to all SiriusXM services are sold by SiriusXM after trial period, If you decide to continue service after your trial, the subscription plan you choose will automatically renew thereafter and you will be charged according to your chosen payment method at then-current rates, Fees and taxes apply, To cancel you must call SiriusXM at 1-866-635-2349, See SiriusXM Customer Agreement for complete terms at www.siriusxm.com, All fees and programming subject to change, Sirius, XM and all related marks and logos are trademarks of Sirius XM Radio Inc, XLT Chrome Appearance Package, 2, XLT CHROME APPEARANCE PACKAGE 2 chrome front tow hooks, Tires: P275/65R18 OWL A/S, Chrome Step Bars, 2-Bar Style Grille w/Chrome 2 Minor Bars, silver painted surround and black background mesh, Chrome Door & Tailgate Handles w/Body-Color Bezel, bezel on side doors and black on tailgate, Wheels: 18 Chrome-Like PVD, Single-Tip Chrome Exhaust, TRAILER TOW PACKAGE Towing capability up to TBD, tailgate LED, Class IV Trailer Hitch Receiver Tax DMV Fees & $597 processing fee are not included in vehicle prices shown and must be paid by the purchaser. Vehicle information is based off standard equipment and may vary from vehicle to vehicle. Call or email for complete vehicle specific informatio Chevrolet Ford Chrysler Dodge Jeep & Ram prices include current factory rebates and incentives some of which may require financing through the manufacturer and/or the customer must own/trade a certain make of vehicle. Residency restrictions apply see dealer for details and restrictions. All pricing and details are believed to be accurate but we do not warrant or guarantee such accuracy. The prices shown above may vary from region to region as will incentives and are subject to change. 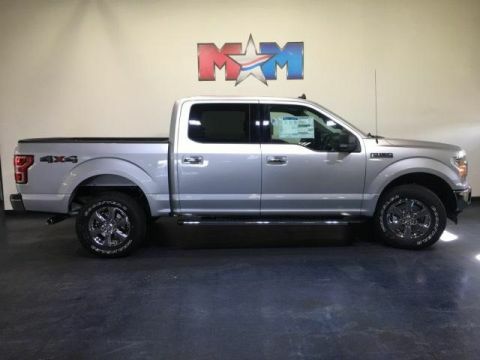 Heated Seats, Nav System, INGOT SILVER METALLIC, TOUGH BED SPRAY-IN BEDLINER, 110V/400W OUTLET, ENGINE: 2.7L V6 ECOBOOST, Hitch, Back-Up Camera. Ingot Silver Metallic exterior and Dark Earth Gray interior, XLT trim. READ MORE! KEY FEATURES INCLUDE 4x4, Back-Up Camera, Onboard Communications System, WiFi Hotspot, Smart Device Integration. Keyless Entry, Child Safety Locks, Steering Wheel Controls, Electronic Stability Control, Brake Assist. OPTION PACKAGES EQUIPMENT GROUP 302A LUXURY 4.2 Productivity Screen in Instrument Cluster, Rear Window Defroster, SiriusXM Radio, 7 speakers and 6-month prepaid subscription, Service is not available in Alaska and Hawaii, Subscriptions to all SiriusXM services are sold by SiriusXM after trial period, If you decide to continue service after your trial, the subscription plan you choose will automatically renew thereafter and you will be charged according to your chosen payment method at then-current rates, Fees and taxes apply, To cancel you must call SiriusXM at 1-866-635-2349, See SiriusXM Customer Agreement for complete terms at www.siriusxm.com, All fees and programming subject to change, Sirius, XM and all related marks and logos are trademarks of Sirius XM Radio Inc, XLT Chrome Appearance Package, 2, XLT CHROME APPEARANCE PACKAGE 2 chrome front tow hooks, Tires: P275/65R18 OWL A/S, Chrome Step Bars, 2-Bar Style Grille w/Chrome 2 Minor Bars, silver painted surround and black background mesh, Chrome Door & Tailgate Handles w/Body-Color Bezel, bezel on side doors and black on tailgate, Wheels: 18 Chrome-Like PVD, Single-Tip Chrome Exhaust, TRAILER TOW PACKAGE Towing capability up to TBD, tailgate LED, Class IV Trailer Hitch Receiver Tax DMV Fees & $597 processing fee are not included in vehicle prices shown and must be paid by the purchaser. Vehicle information is based off standard equipment and may vary from vehicle to vehicle. Call or email for complete vehicle specific informatio Chevrolet Ford Chrysler Dodge Jeep & Ram prices include current factory rebates and incentives some of which may require financing through the manufacturer and/or the customer must own/trade a certain make of vehicle. Residency restrictions apply see dealer for details and restrictions. All pricing and details are believed to be accurate but we do not warrant or guarantee such accuracy. The prices shown above may vary from region to region as will incentives and are subject to change. Heated Seats, Nav System, ENGINE: 5.0L V8, Hitch, Smart Device Integration, INGOT SILVER METALLIC, Bed Liner, Onboard Communications System, WiFi Hotspot. 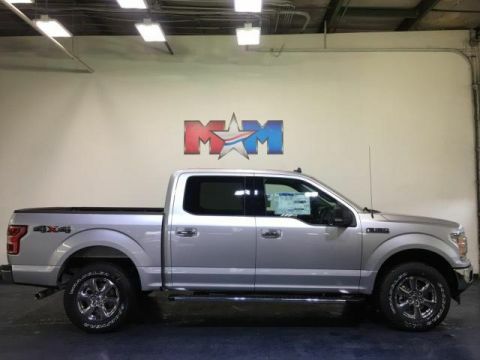 XLT trim, Ingot Silver Metallic exterior and Dark Earth Gray interior CLICK ME! KEY FEATURES INCLUDE 4x4, Back-Up Camera, Onboard Communications System, Smart Device Integration, WiFi Hotspot Keyless Entry, Steering Wheel Controls, Child Safety Locks, Electronic Stability Control, Brake Assist. OPTION PACKAGES EQUIPMENT GROUP 302A LUXURY 4.2 Productivity Screen in Instrument Cluster, Rear Window Defroster, SiriusXM Radio, 7 speakers and 6-month prepaid subscription, Service is not available in Alaska and Hawaii, Subscriptions to all SiriusXM services are sold by SiriusXM after trial period, If you decide to continue service after your trial, the subscription plan you choose will automatically renew thereafter and you will be charged according to your chosen payment method at then-current rates, Fees and taxes apply, To cancel you must call SiriusXM at 1-866-635-2349, See SiriusXM Customer Agreement for complete terms at www.siriusxm.com, All fees and programming subject to change, Sirius, XM and all related marks and logos are trademarks of Sirius XM Radio Inc, XLT Chrome Appearance Package, 2, ENGINE: 5.0L V8 auto start-stop technology and flex-fuel capability, 3.31 Axle Ratio, GVWR: 7,000 lbs Payload Package, XLT CHROME APPEARANCE PACKAGE 2 chrome front tow hooks, Tires: P275/65R18 OWL A/S, Chrome Step Bars, 2-Bar Style Grille w/Chrome 2 Minor Bars, silver painted surround and black background mesh, Chrome Door & Tailgate Handles w/Body-Color Bezel, bezel on side doors and black on tailgate, Wheels: 18 Chrome-Like PVD, Single-Tip Chrome Exhaust Tax DMV Fees & $597 processing fee are not included in vehicle prices shown and must be paid by the purchaser. Vehicle information is based off standard equipment and may vary from vehicle to vehicle. Call or email for complete vehicle specific informatio Chevrolet Ford Chrysler Dodge Jeep & Ram prices include current factory rebates and incentives some of which may require financing through the manufacturer and/or the customer must own/trade a certain make of vehicle. Residency restrictions apply see dealer for details and restrictions. All pricing and details are believed to be accurate but we do not warrant or guarantee such accuracy. The prices shown above may vary from region to region as will incentives and are subject to change. 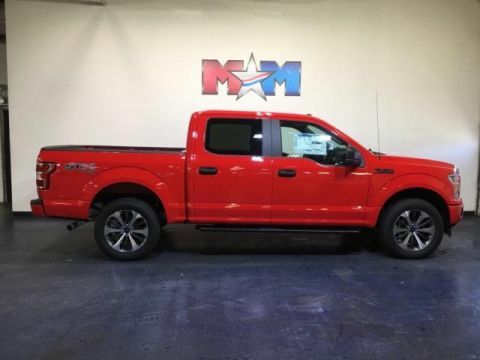 Navigation, Heated Seats, Trailer Hitch, MAGMA RED METALLIC, 110V/400W OUTLET, ENGINE: 2.7L V6 ECOBOOST, Onboard Communications System, WiFi Hotspot, Back-Up Camera. XLT trim, Magma Red Metallic exterior and Black interior. AND MORE! KEY FEATURES INCLUDE 4x4, Back-Up Camera, Onboard Communications System, WiFi Hotspot, Smart Device Integration. Keyless Entry, Child Safety Locks, Steering Wheel Controls, Electronic Stability Control, Brake Assist. OPTION PACKAGES EQUIPMENT GROUP 302A LUXURY 4.2 Productivity Screen in Instrument Cluster, Rear Window Defroster, SiriusXM Radio, 7 speakers and 6-month prepaid subscription, Service is not available in Alaska and Hawaii, Subscriptions to all SiriusXM services are sold by SiriusXM after trial period, If you decide to continue service after your trial, the subscription plan you choose will automatically renew thereafter and you will be charged according to your chosen payment method at then-current rates, Fees and taxes apply, To cancel you must call SiriusXM at 1-866-635-2349, See SiriusXM Customer Agreement for complete terms at www.siriusxm.com, All fees and programming subject to change, Sirius, XM and all related marks and logos are trademarks of Sirius XM Radio Inc, XLT Chrome Appearance Package, 2, XLT CHROME APPEARANCE PACKAGE 2 chrome front tow hooks, Tires: P275/65R18 OWL A/S, Chrome Step Bars, 2-Bar Style Grille w/Chrome 2 Minor Bars, silver painted surround and black background mesh, Chrome Door & Tailgate Handles w/Body-Color Bezel, bezel on side doors and black on tailgate, Wheels: 18 Chrome-Like PVD, Single-Tip Chrome Exhaust, WHEELS: 20 CHROME-LIKE PVD, ENGINE: 2.7L V6 ECOBOOST auto start-stop technology, 3.55 Axle Ratio, GVWR: 6 Tax DMV Fees & $597 processing fee are not included in vehicle prices shown and must be paid by the purchaser. Vehicle information is based off standard equipment and may vary from vehicle to vehicle. Call or email for complete vehicle specific informatio Chevrolet Ford Chrysler Dodge Jeep & Ram prices include current factory rebates and incentives some of which may require financing through the manufacturer and/or the customer must own/trade a certain make of vehicle. Residency restrictions apply see dealer for details and restrictions. All pricing and details are believed to be accurate but we do not warrant or guarantee such accuracy. The prices shown above may vary from region to region as will incentives and are subject to change. 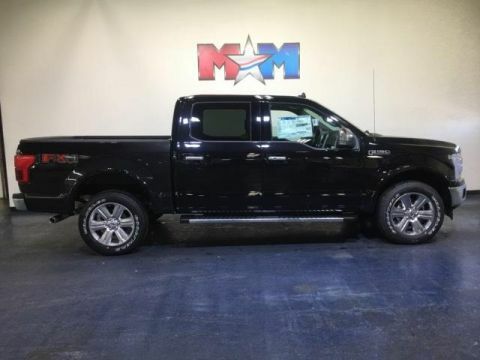 NAV, Heated/Cooled Leather Seats, 110V/400W OUTLET, AGATE BLACK METALLIC, ENGINE: 5.0L V8, Back-Up Camera, 4x4, Turbo, LARIAT CHROME APPEARANCE PACKAGE. 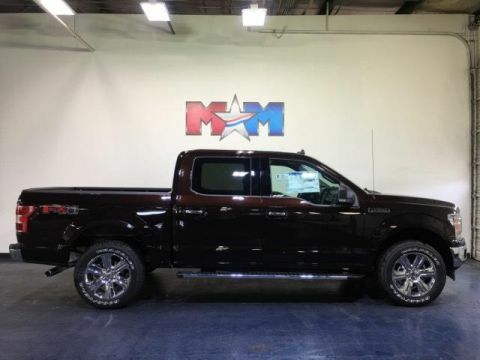 LARIAT trim, Agate Black Metallic exterior and Dark Earth Gray interior AND MORE! KEY FEATURES INCLUDE Leather Seats, 4x4, Heated Driver Seat, Cooled Driver Seat, Back-Up Camera, Turbocharged, iPod/MP3 Input, Onboard Communications System, Dual Zone A/C, Smart Device Integration, WiFi Hotspot, Heated Seats, Heated Leather Seats, Heated/Cooled Seats MP3 Player, Privacy Glass, Keyless Entry, Steering Wheel Controls, Child Safety Locks. OPTION PACKAGES EQUIPMENT GROUP 502A LUXURY Reverse Sensing System, Lariat Chrome Appearance Package, 2 chrome front tow hooks, Chrome Skull Caps on Exterior Mirrors, Chrome Door & Tailgate Handles w/Body-Color Bezel, Chrome Angular Step Bars, Chrome 2-Bar Grille w/4 Minor Bars, painted silver surround and background mesh, Wheels: 18 Chrome-Like PVD, Single-Tip Chrome Exhaust, Universal Garage Door Opener, Heated Steering Wheel, Quad Beam LED Headlamps & LED Taillamps/Fog Lamps, Blind Spot Information System (BLIS), cross-traffic alert and trailer tow monitoring (BLIS sensor in LED taillamp), 110V/400W Outlet, 2nd outlet in the console, Windshield Wiper De-Icer, Power Glass Sideview Mirr w/Chrome Skull Caps, power-folding, heat, turn signal, memory and auto-dimming feature (driver's side), Power, LARIAT CHROME APPEARANCE PACKAGE 2 chrome front tow hooks, Chrome Skull Caps on Exterior Mirrors, Chrome Door & Tailgate Handles w/Body-Color Bezel, Chrome Angular Step Bars, Chrome 2-Bar Grille w/4 Minor Bars, painted silver surround and background mesh, Wheels: 18 Chrome-Like PVD, Single-Tip Chrome Exhaust, WHEELS: 20 CHROME-LIKE PVD Tax DMV Fees & $597 processing fee are not included in vehicle prices shown and must be paid by the purchaser. Vehicle information is based off standard equipment and may vary from vehicle to vehicle. Call or email for complete vehicle specific informatio Chevrolet Ford Chrysler Dodge Jeep & Ram prices include current factory rebates and incentives some of which may require financing through the manufacturer and/or the customer must own/trade a certain make of vehicle. Residency restrictions apply see dealer for details and restrictions. All pricing and details are believed to be accurate but we do not warrant or guarantee such accuracy. The prices shown above may vary from region to region as will incentives and are subject to change.